Most romantic, passionate and beautiful places on Earth and a real vegan paradise! 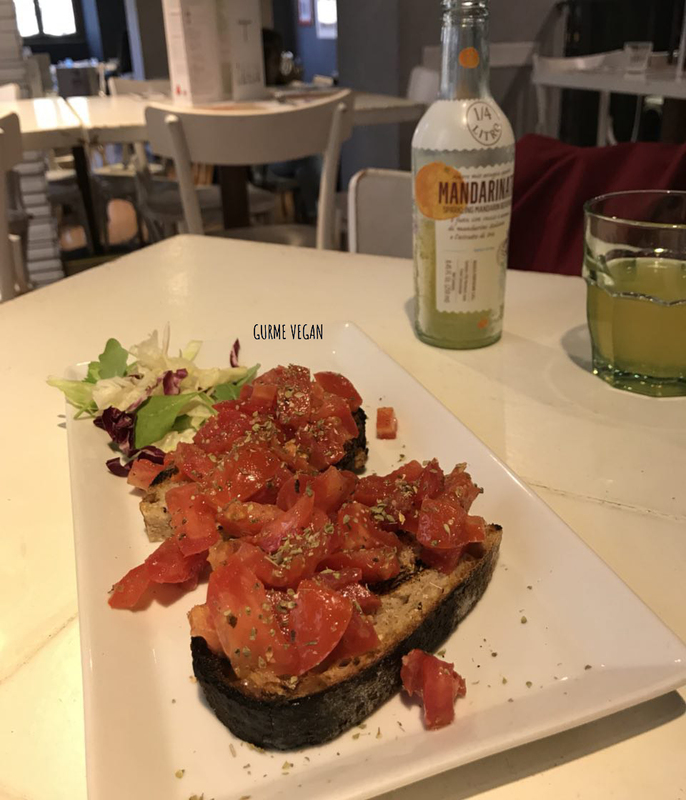 I love everything about the city; the history, the architecture, melodic italian language, friendly italian people and yes, the food! 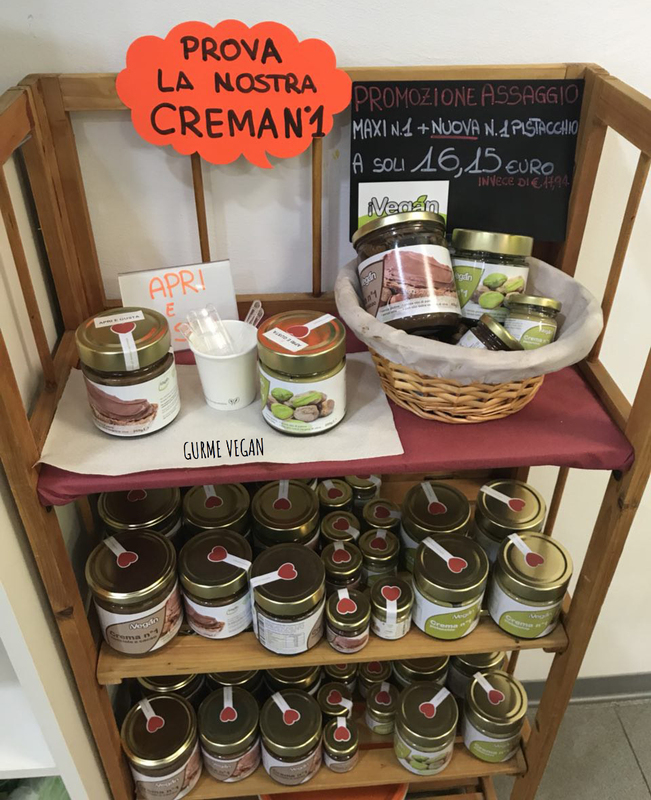 Gelato, pizza, pasta, wine, chocolate, tiramisu… Ahhh! I forgot how many times I came to the Rome. But didn’t forget the magic of this beautiful city. There is a fascinating atmosphere that always makes me happy. 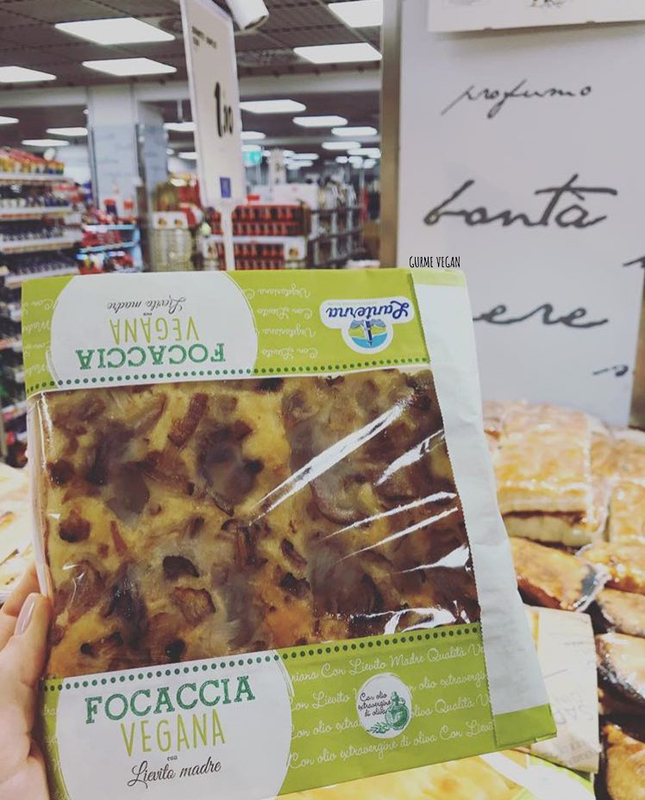 This time i rediscovered Rome as vegan! 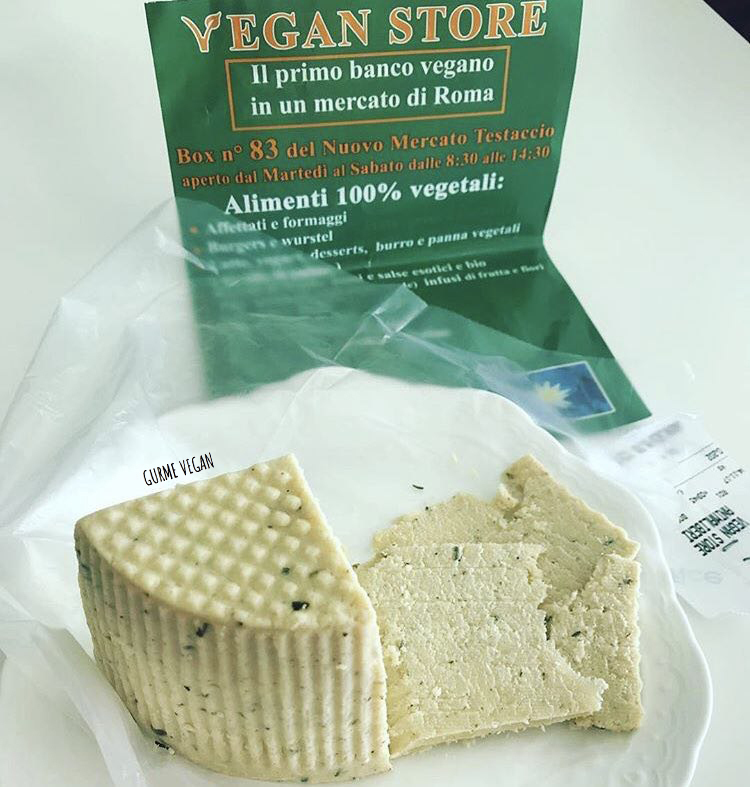 In reality being vegan in Rome is so easy. 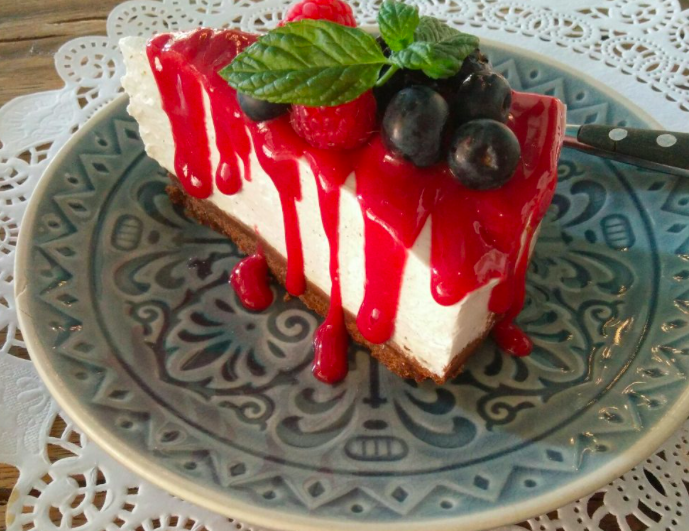 There are a number of great vegan-friendly cafes and restaurants that you really should visit. 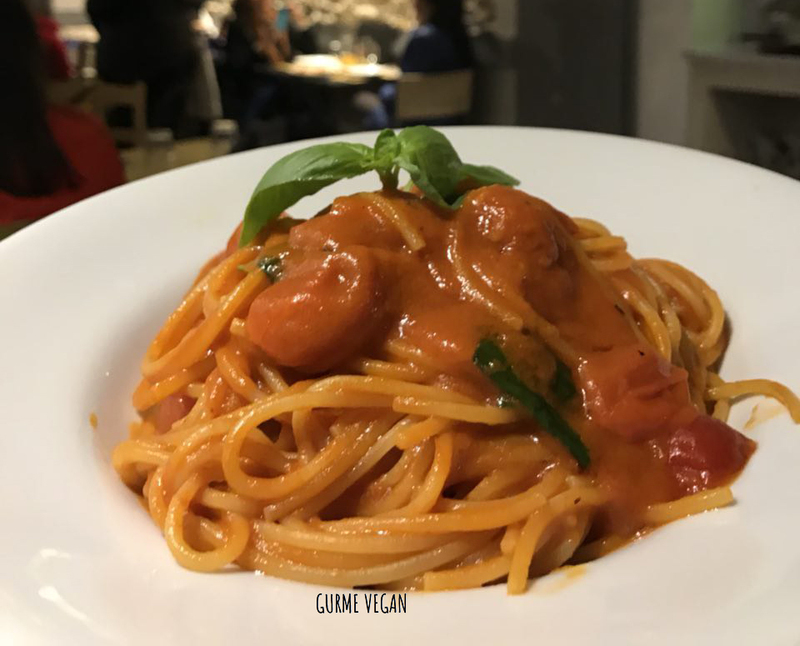 Besides there are many non-vegan restaurants which have delicious vegan options like spaghetti al pomodoro! 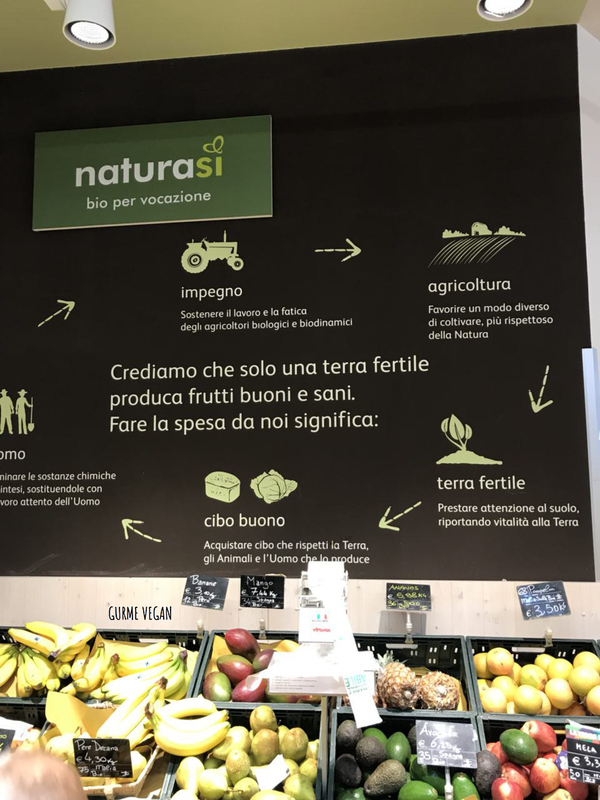 The largest store chain, NaturaSi, is located in the heart of Rome. 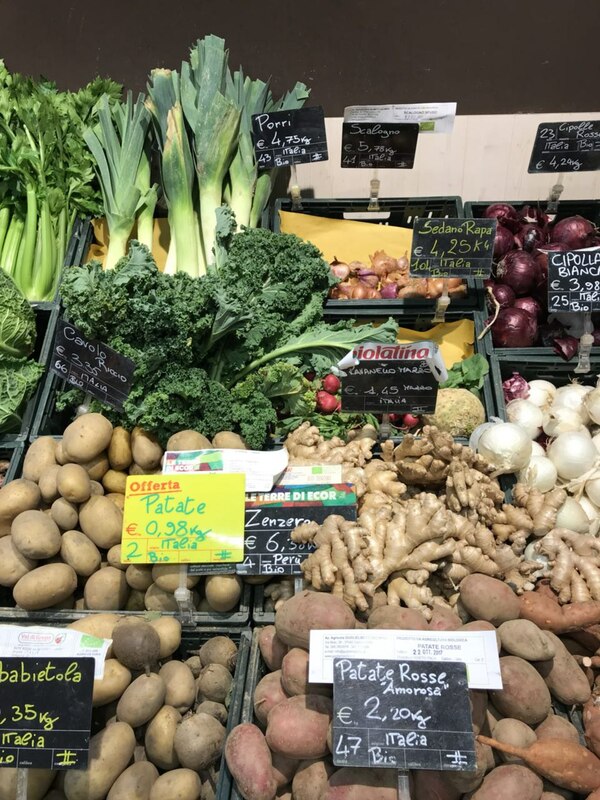 There are many organic vegetables and fruits, vegan food products here apart from vegan cheeses. 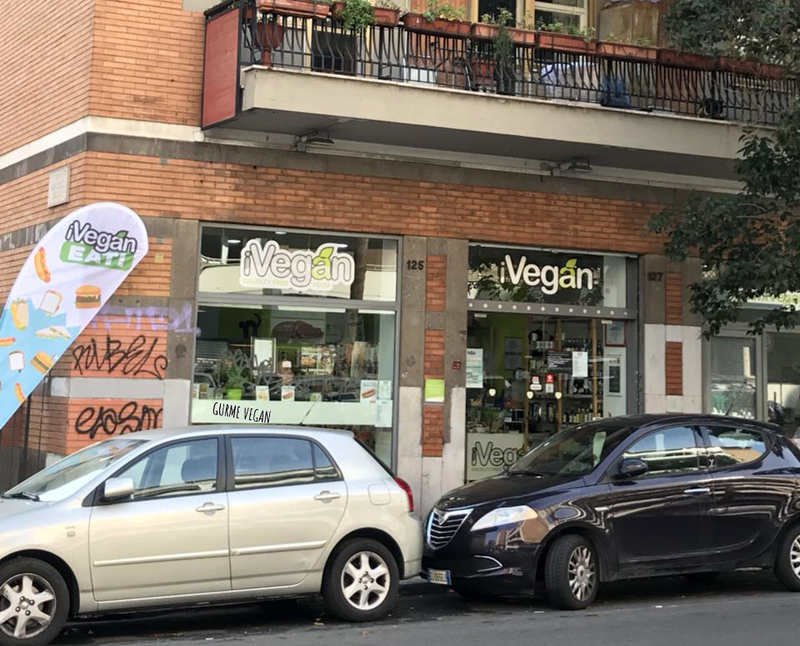 There are only two places in Rome that are completely vegan. Ivegan is the head of them. A variety of fast food like hotdogs, burgers, wraps, italian toasts, salads and desserts all home made. 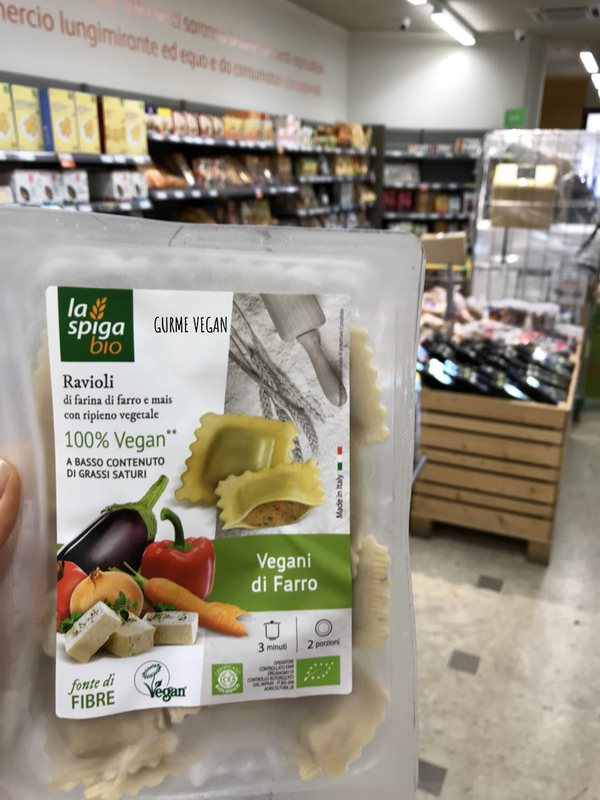 Sells a variety of products from seitan, tofu, tempeh, sweeties and cosmetics, with a large choice of vegan cheeses, mock fish and typical Italian food. 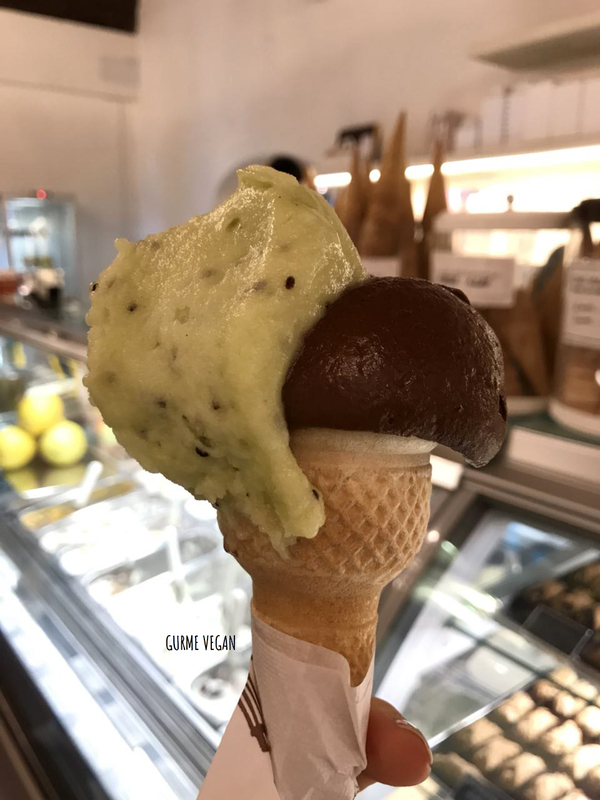 Their vegan “Nutella” and pistachio cream are to die for! I highly recommend these products to everyone who is addicted to chocolate! 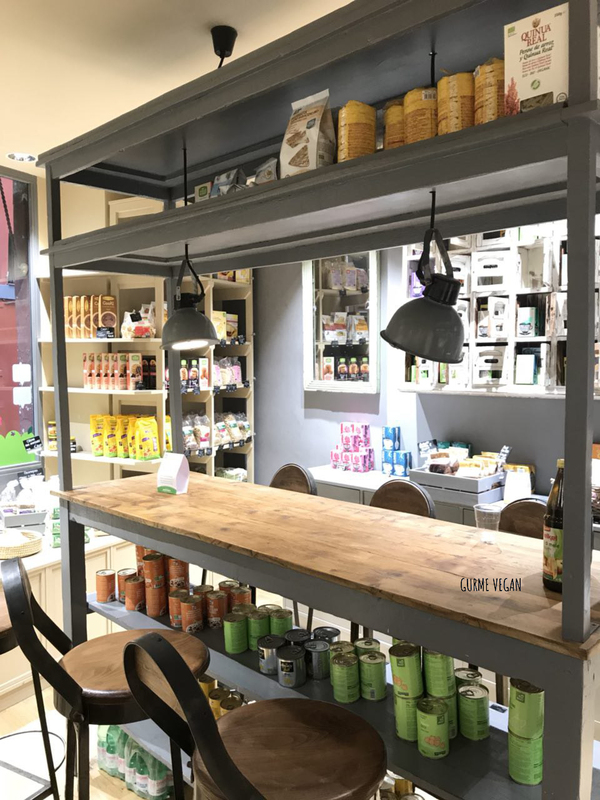 İVegan also has a small cafe in the shop. 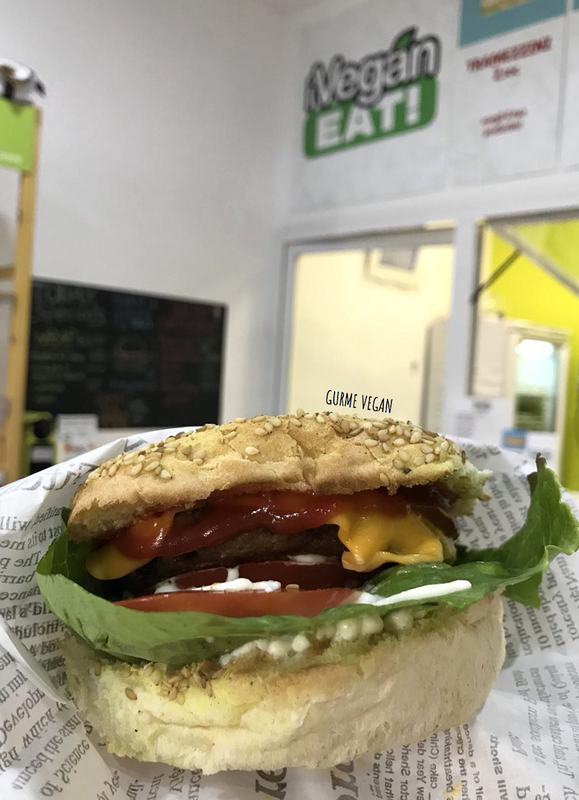 We experienced cheeseburger, vegan salmon sandwich and raw balls with chestnuts. They were really very successful. The only thing better than the food here is the impeccable service. 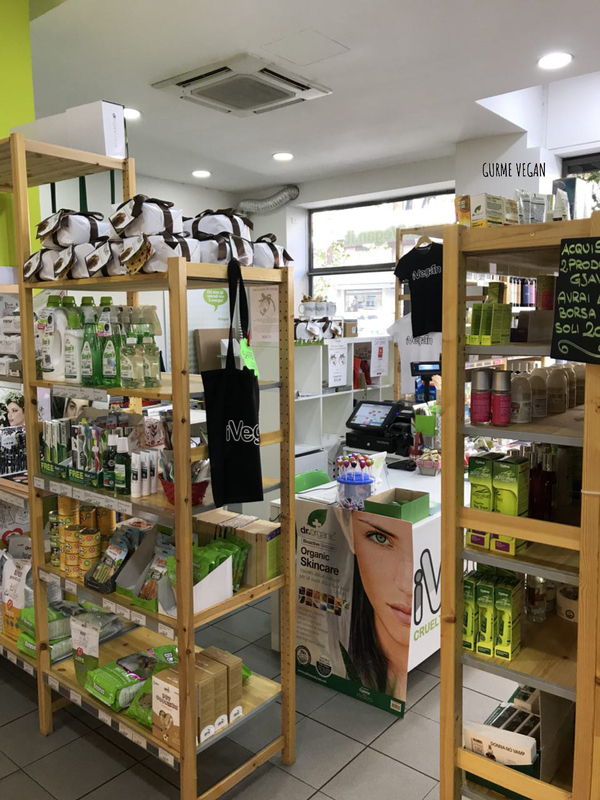 The staff are so friendly and eager to help, I loved them so much! 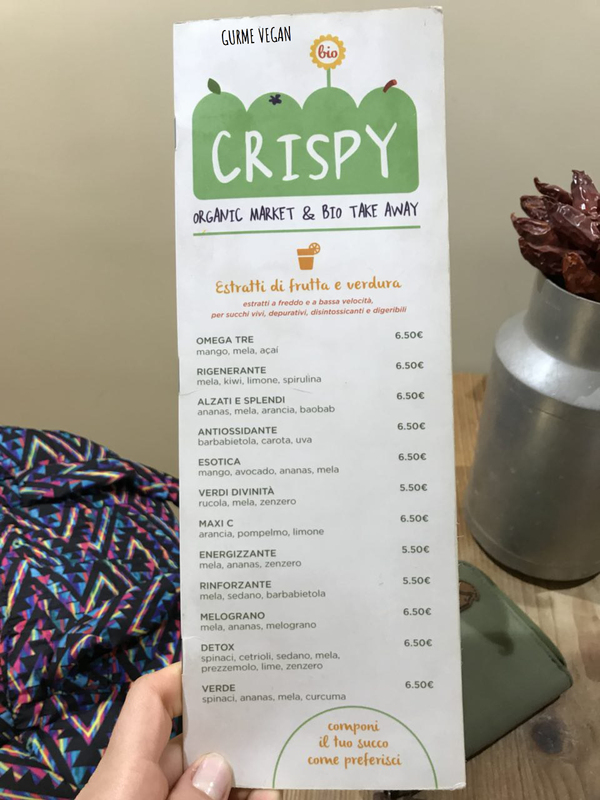 I discovered a wonderful vegan place on my trip to Italy, I had never planned before. Barbara, the owner of this store is an amazing person who genuinely cares about all animals and even endures abuse from nearby butchers! 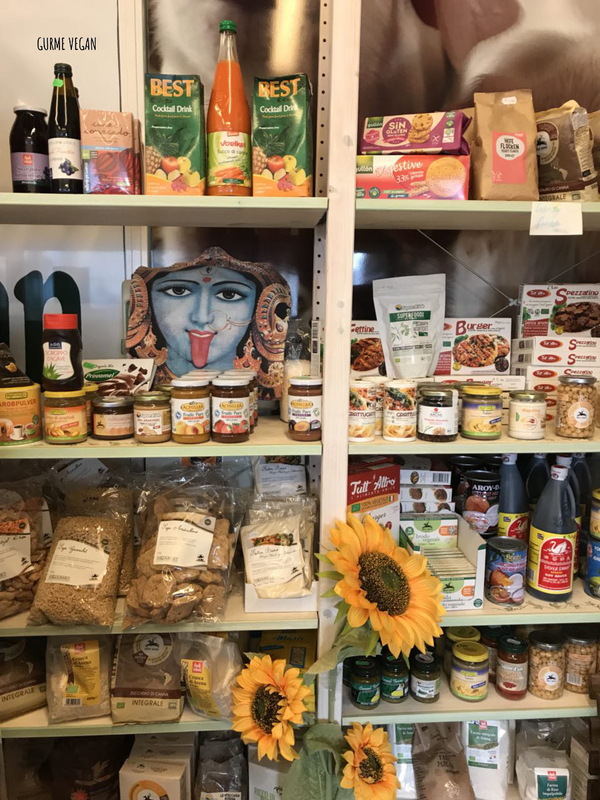 She makes excellent food to order and has a gigantic inventory of everything vegan – cheeses, yogurts, mayo, cereals, nut, grains, plus baking goods, personal care and cosmetics. Barbara offered me a lot of cheese to taste. 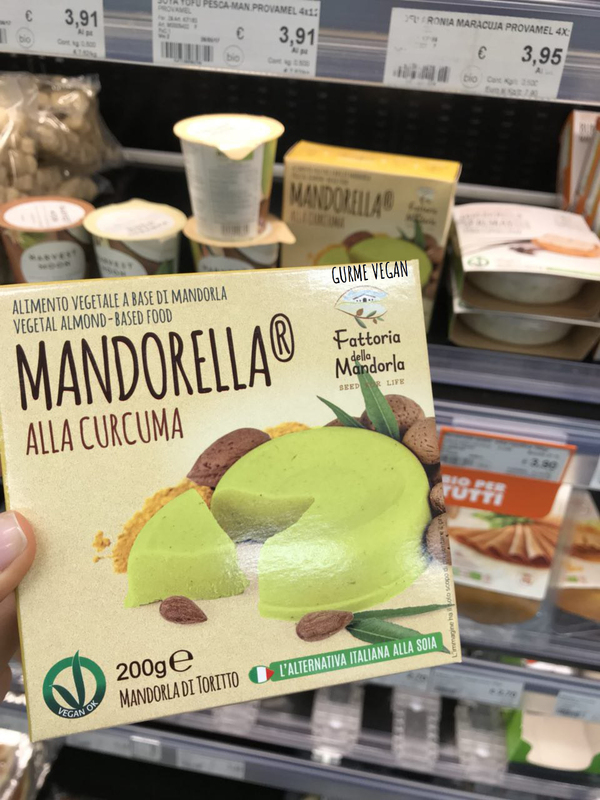 Gondino from Tuscany is the best vegan cheese i tried! 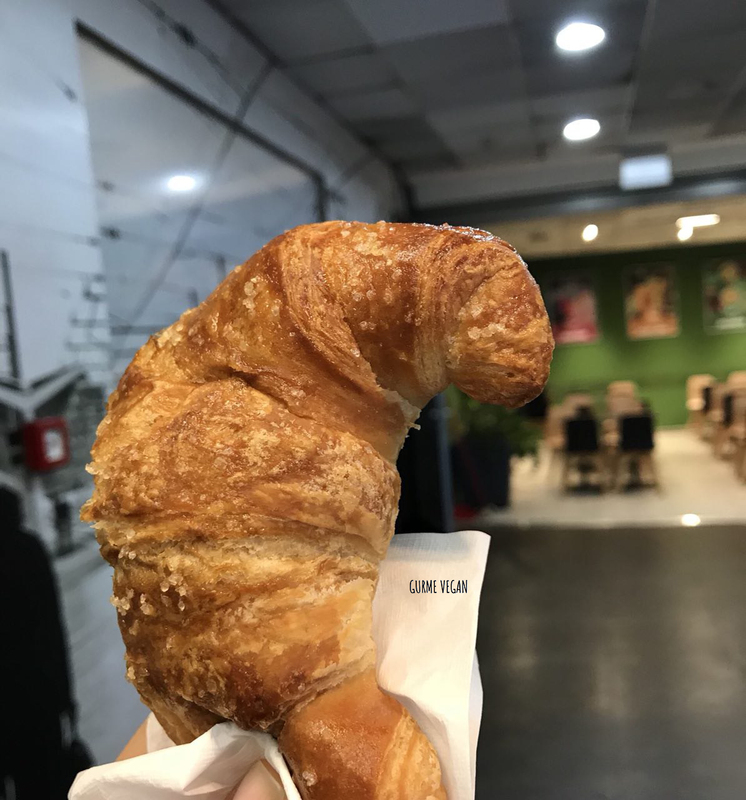 Smelly, unique, creamy, delicious! 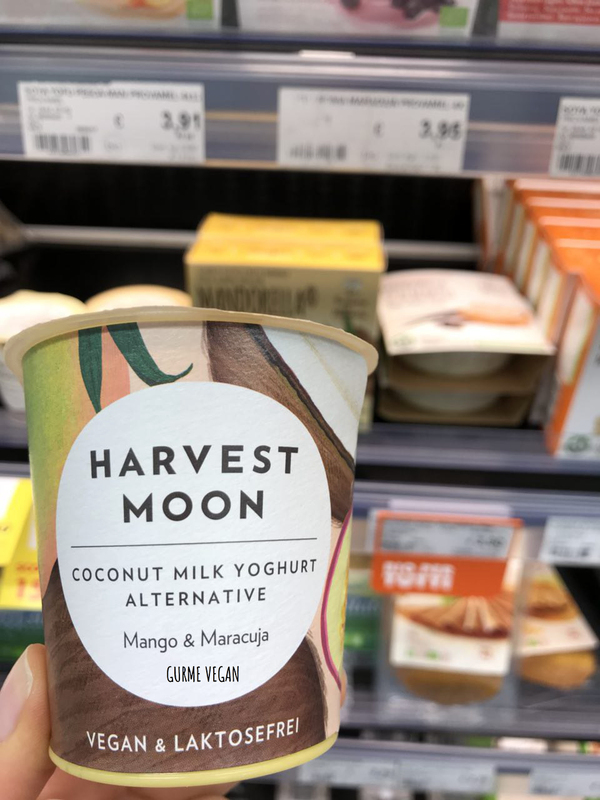 Similary, if you chat to any person about veganism, the thing they will always say is: “but i just love cheese too much!” Over the past few years, with veganism growing, some pretty awesome food manufactures have committed to making vegan cheese. 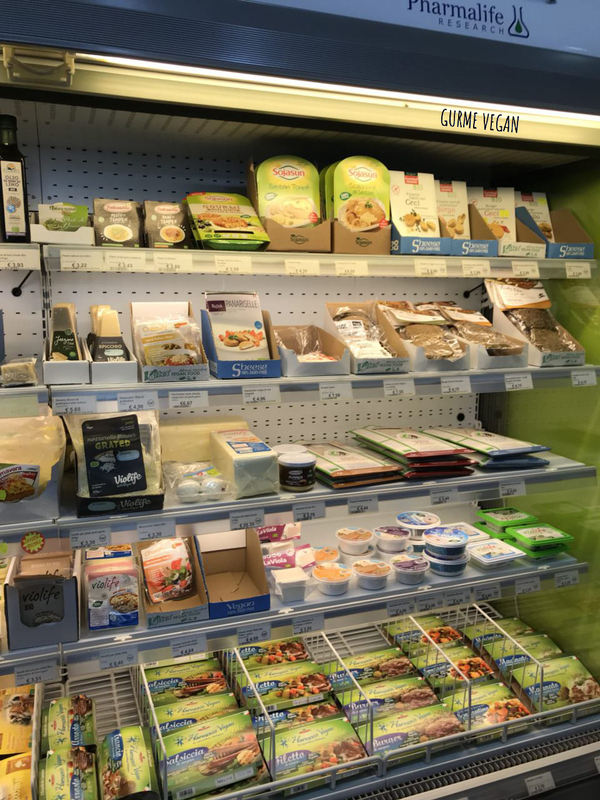 So much so that if you browse your local health food shop or independent supermarket, you’ll find an impressive amount of vegan cheeses from parmesan and gouda to classic cheddar and mozzarella! 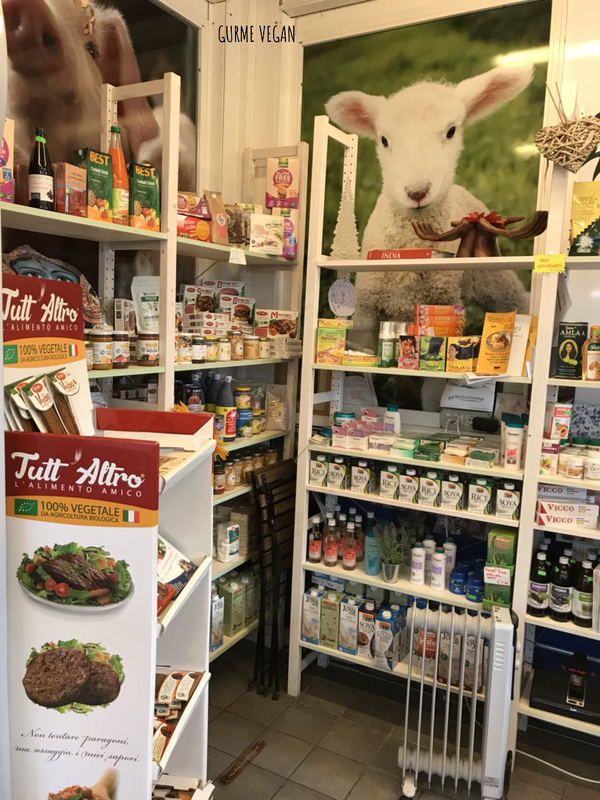 Stop by and get a bite and buy some grean vegan producrs and keep this awesome store alive amidst the meat eaters! 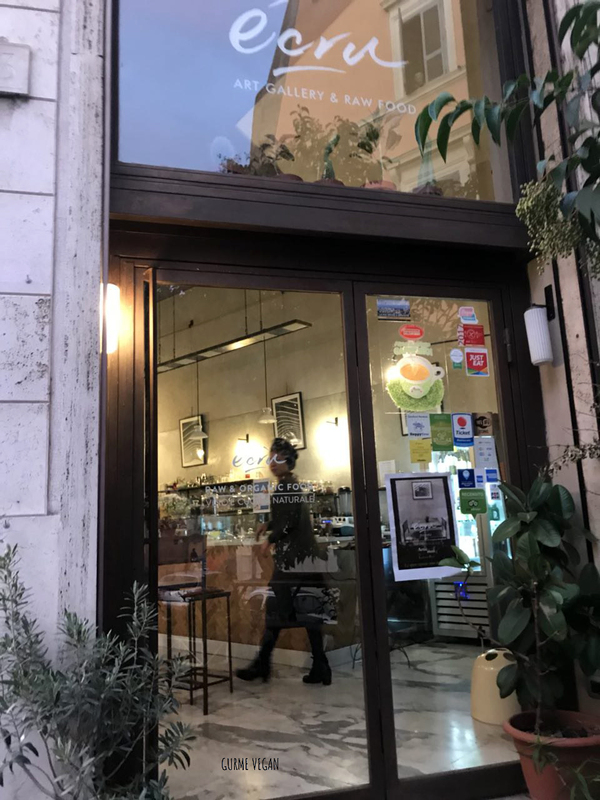 This charming family runned restaurant it’s conveniently located at just few meters from the Termini station, in its menu, on top of the Italian and Roman cousin classics. 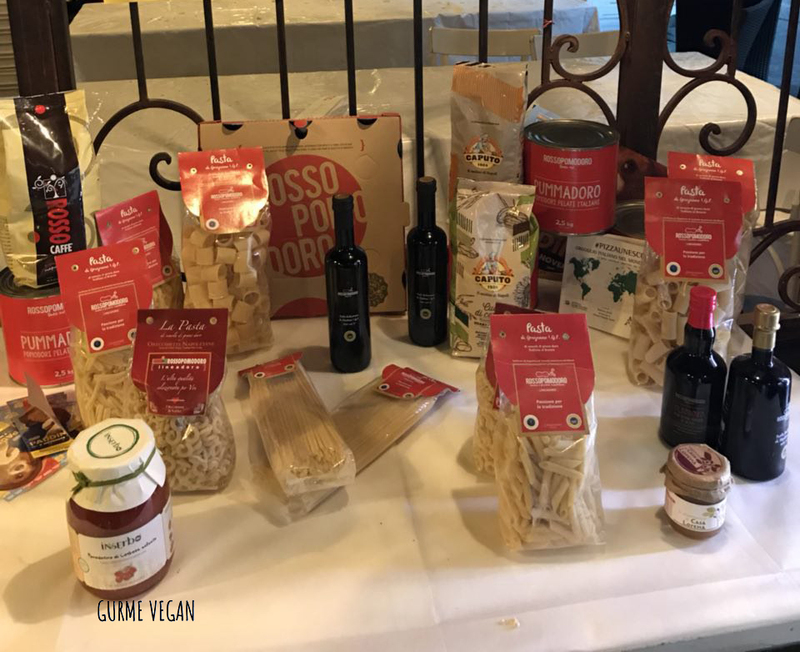 Besides, Rifugio Romano serve a vegan menu from starters to desserts with wine and spirits and the servis is also great! We ate bruschetta, carbonara pasta and pizza funghi. 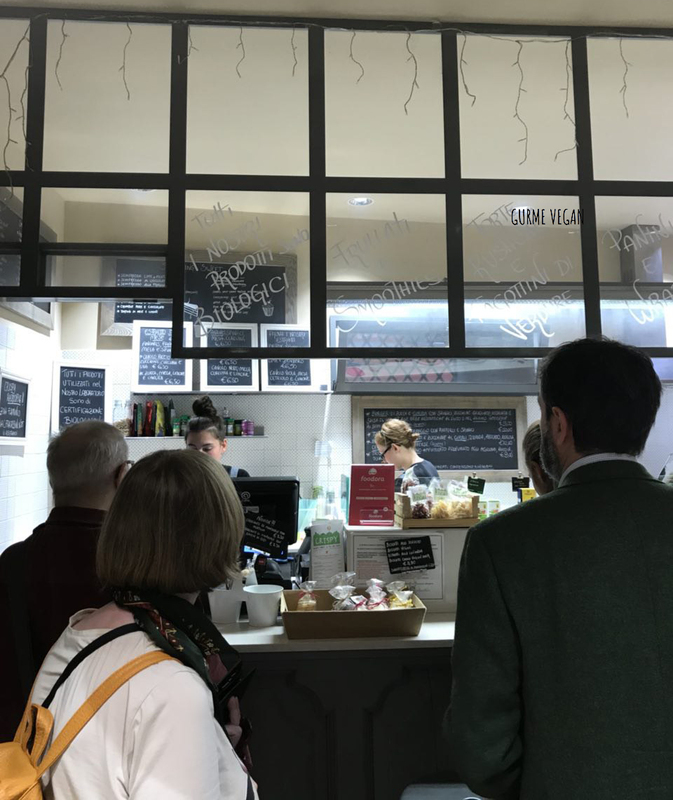 The portions are generous, the food is great – fresh, wholesome and cooked with loving attention. 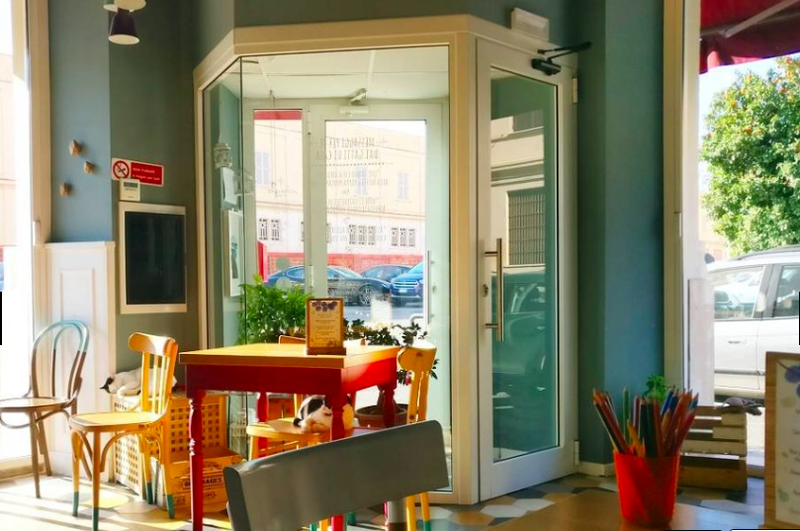 Plus, a great place to spend some time waiting for your train! 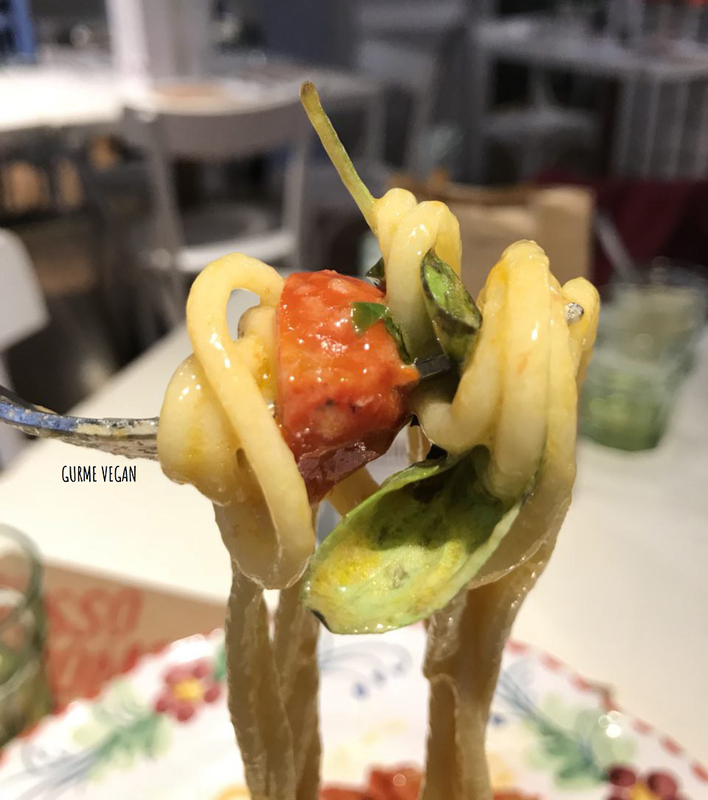 I recommend this restaurant to anyone looking for an authentic Italian meal that is veganized. 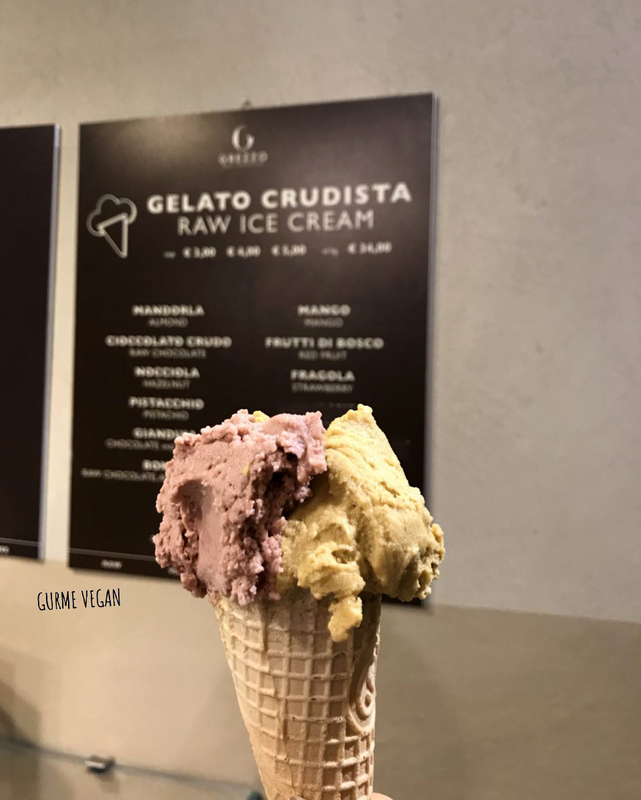 Grezzo Raw Chocolate is my first must-go place in Rome! 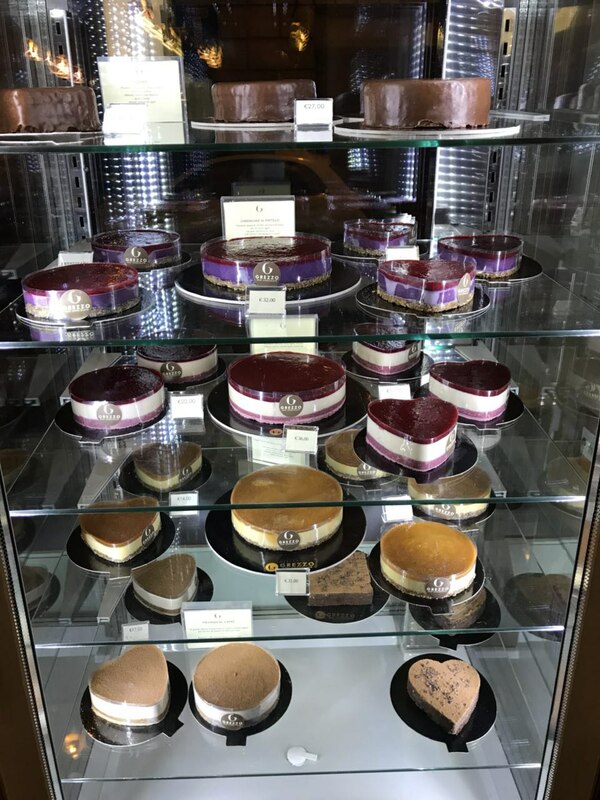 A real vegan dessert paradise on the earth.. Ahh! Take me there. I lost myself there. This place is really soo unique. 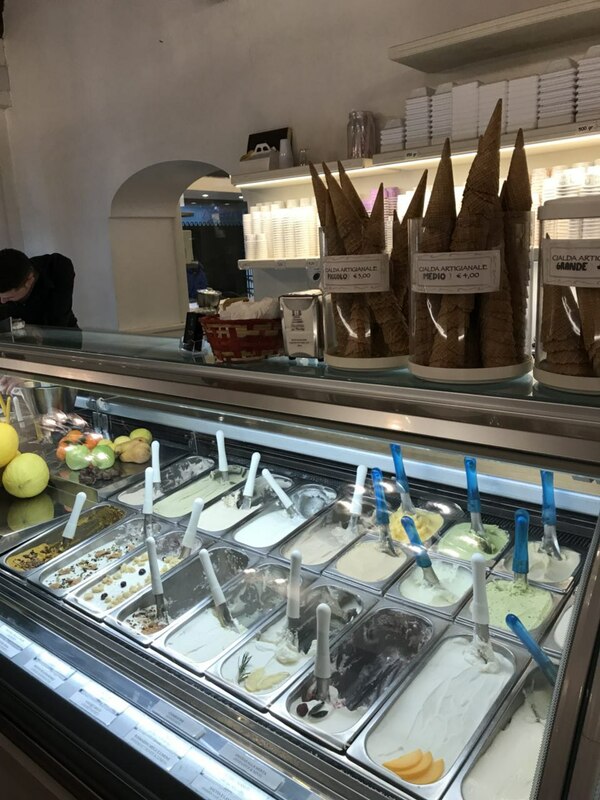 I tried tiramisu al caffe and various ice creams . 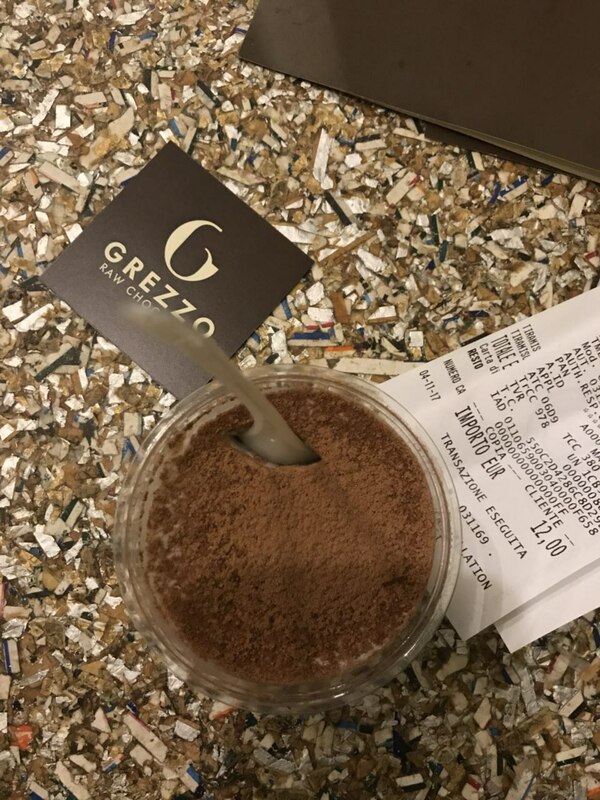 The tiramisu contains almonds, coffee, cashews, coconut and raw cacao. The best vegan tiramisu ever! 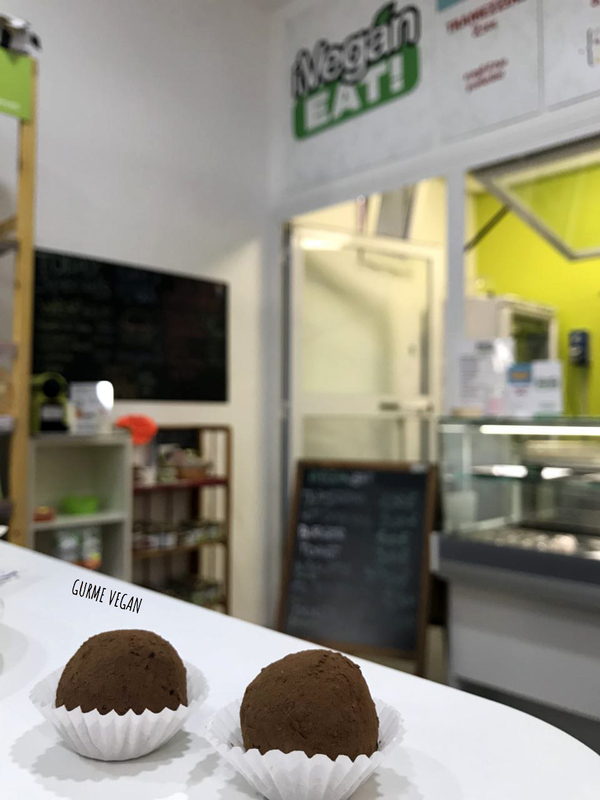 Everything is slow, all vegan, raw and gluten free! 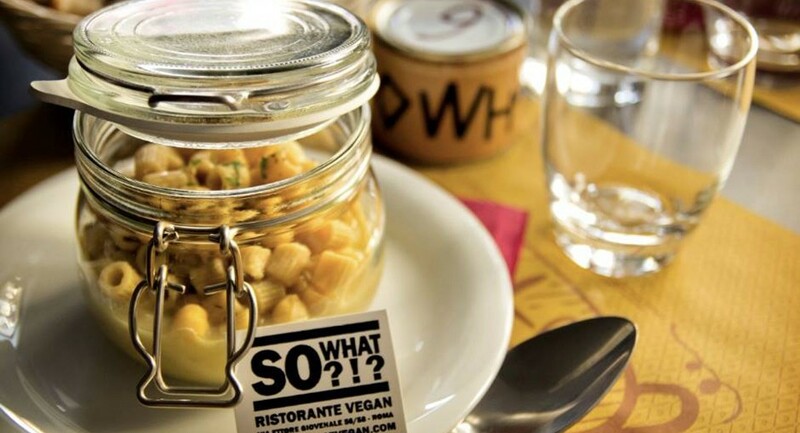 So What is a %100 vegan restaurant in Rome. 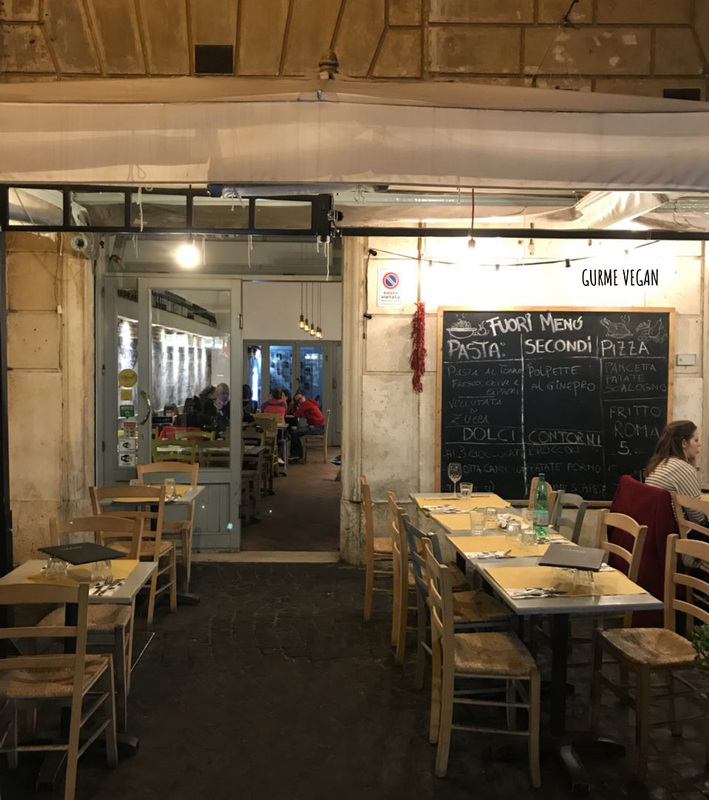 Restaurant’s location away from the tourist spots allows you to experience what the real urban Roman is today. Food is good, not gourmet but definetely good, most of all it is not pretentious as many others places. 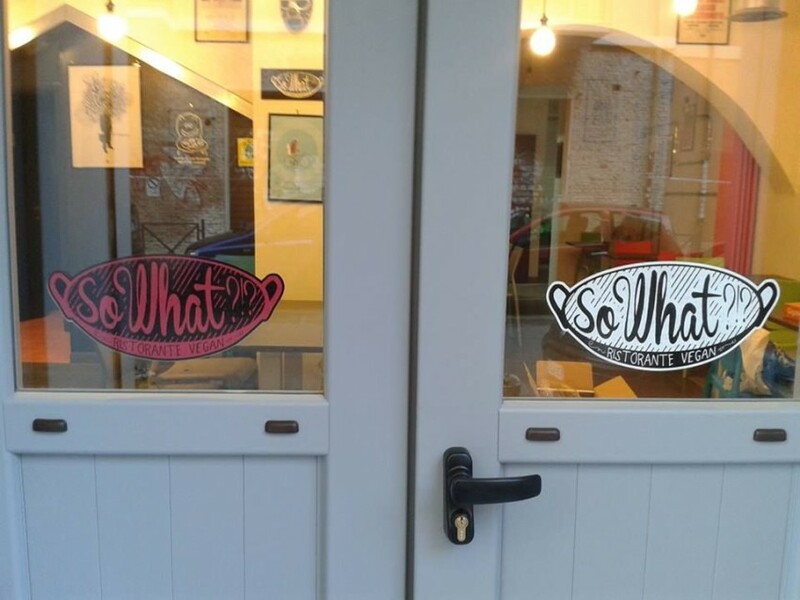 This is a vegan cat cafe which is cute and special. The decor was very nice and the staff was friendly. Have dessert and a cappuccino here. Desserts are wonderful. 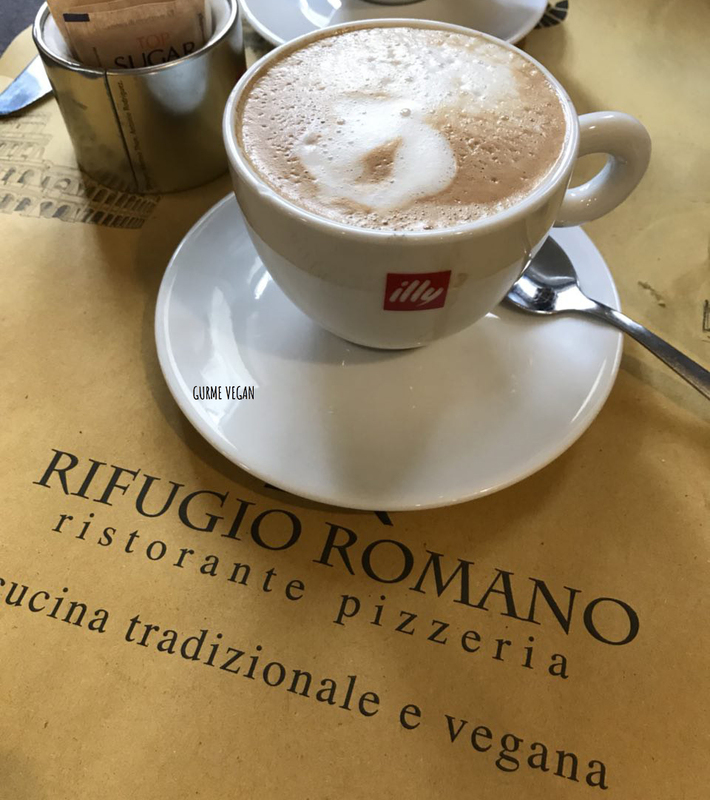 Romeow Cat is close to the Piramide metro stop and definitely worth a visit when in Rome! 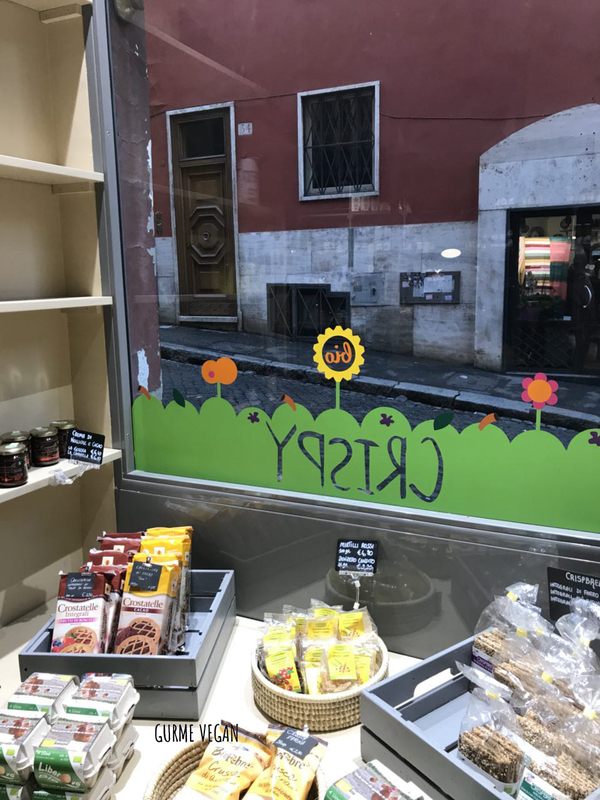 Chef Express is a chain offering quick and easy snack food in Roma Termini and other crowded spots like train stations and airports in Rome, which offers various types of food, you pay for what you take. 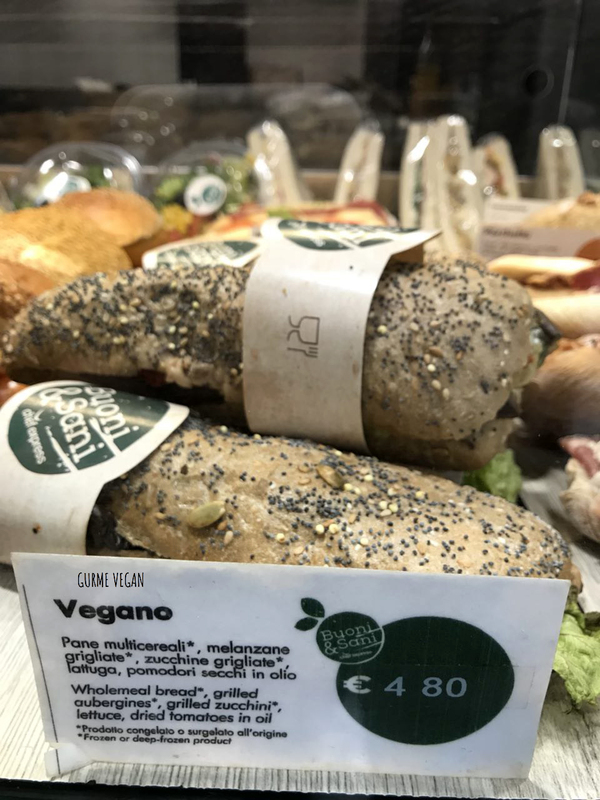 There are two vegan options here: a salad or the vegan sandwich. 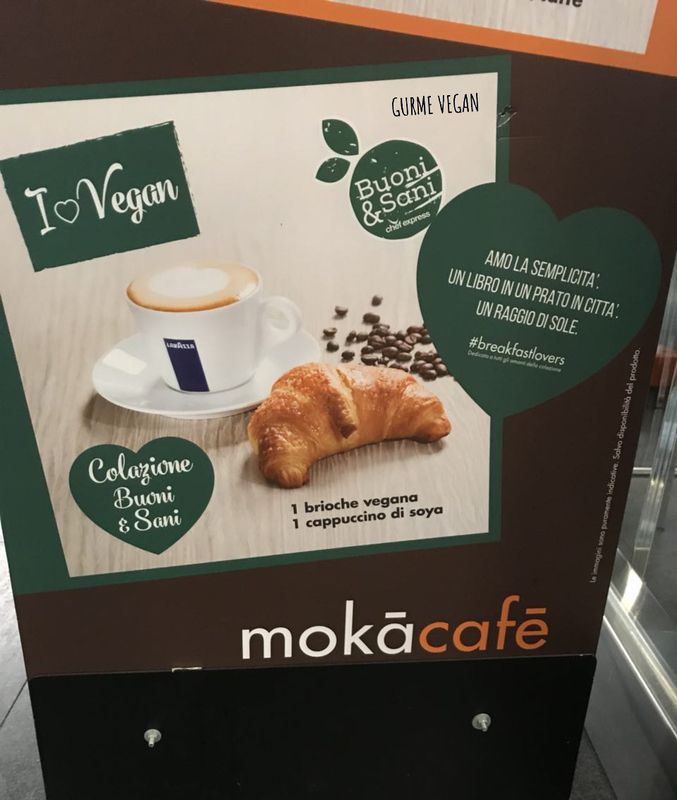 Moka is located in the train stations. 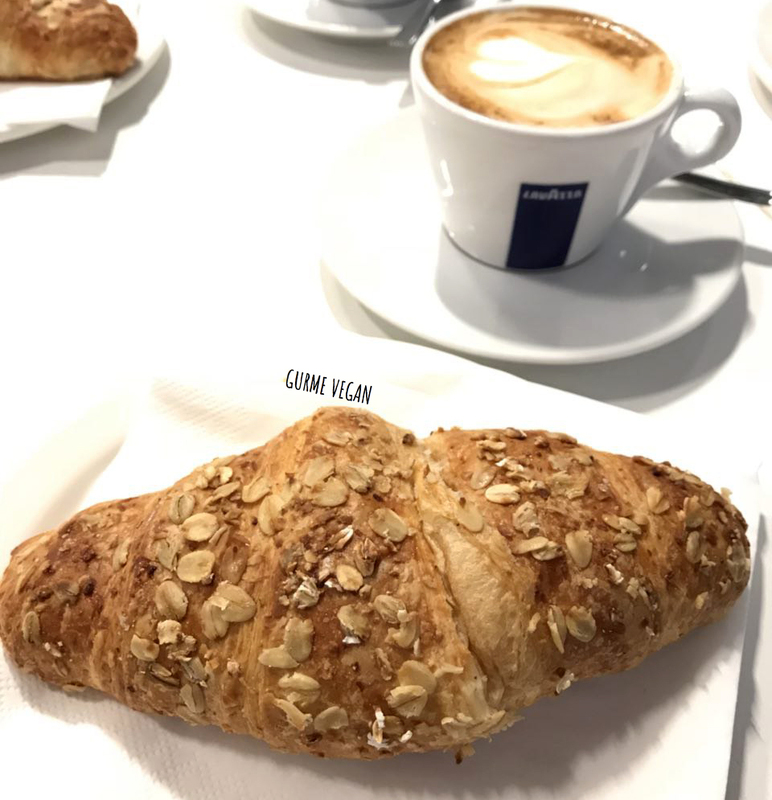 It is easy way to get vegan breakfast in cheap and delicious way! 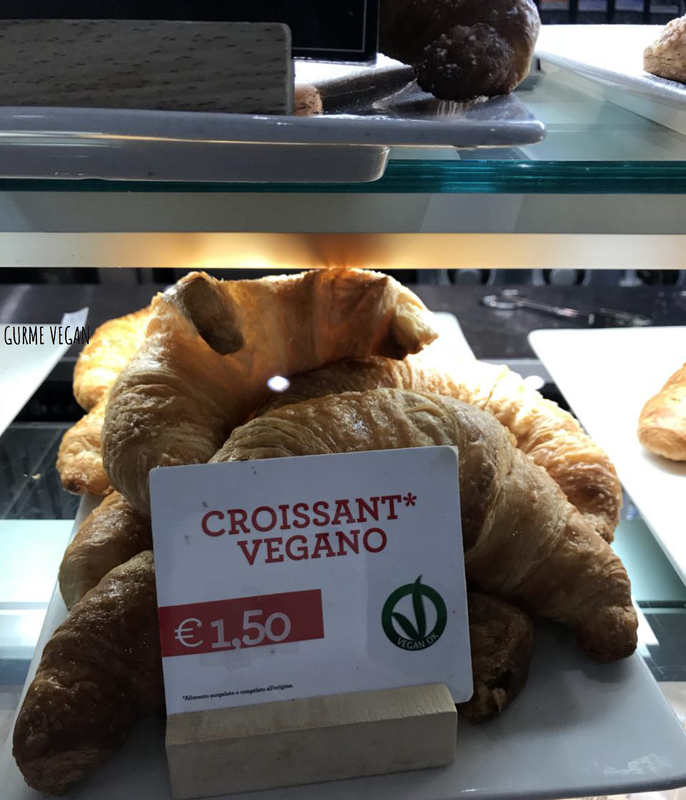 In the train stations, you can also find many vegan croissant options at various shops. 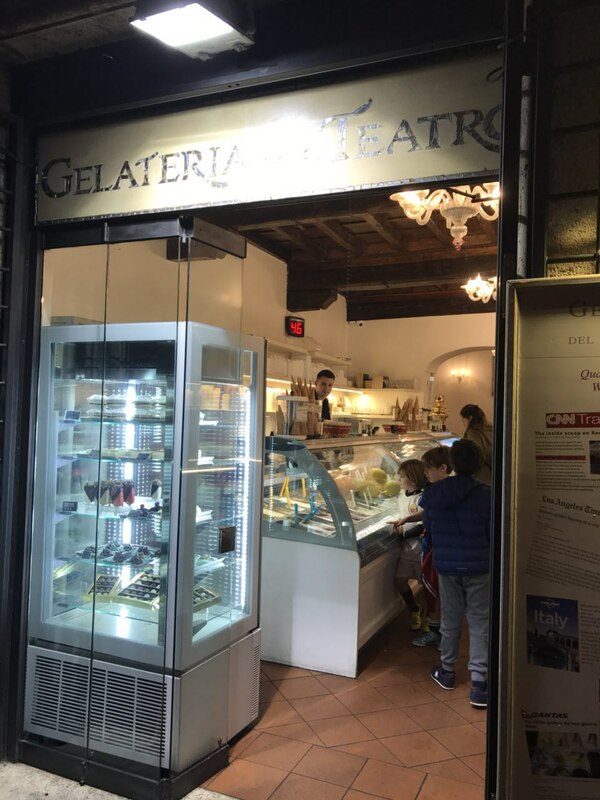 Wonderful, local gelateria behind Piazza Navona.! 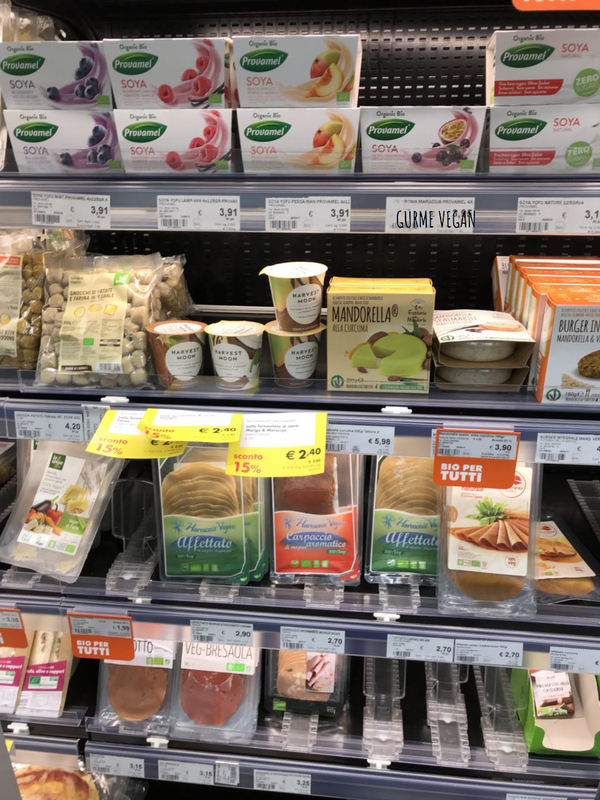 They have vegan options, each one is very natural and delicious! 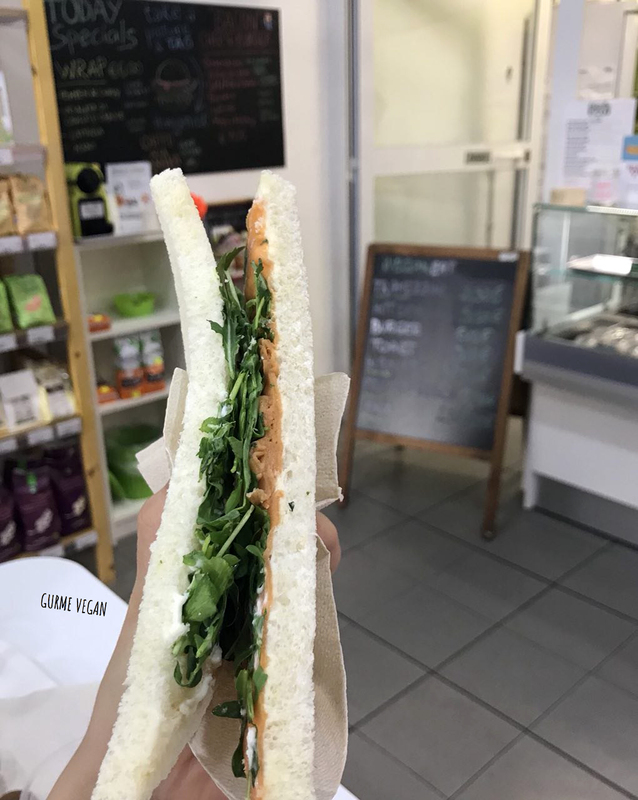 A great tiny place to eat delicious healthy food. Prices are very reasonable. Great location, just 2 minutes away from piazza di spagna. 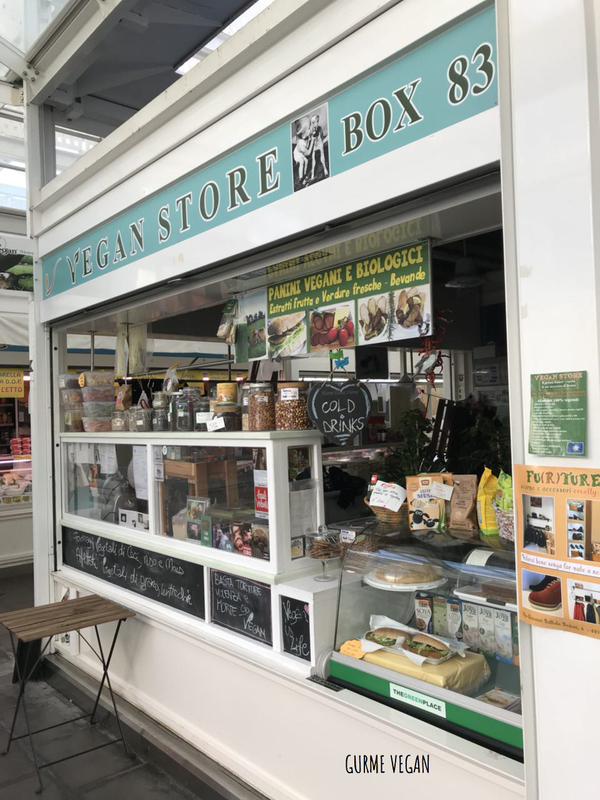 This place is not completely vegan but have vegan choices. 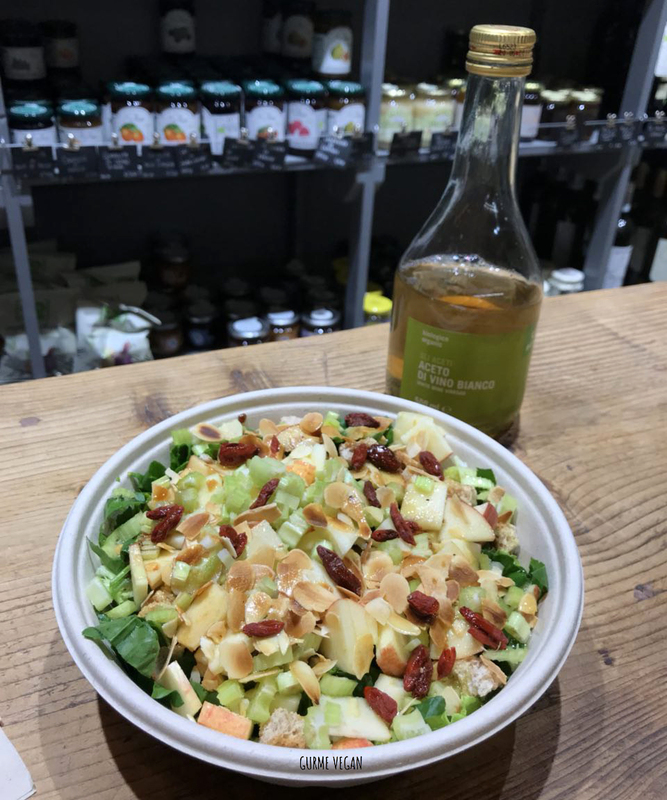 We tried almond apple salad, it was very good. Give a chance to this place! 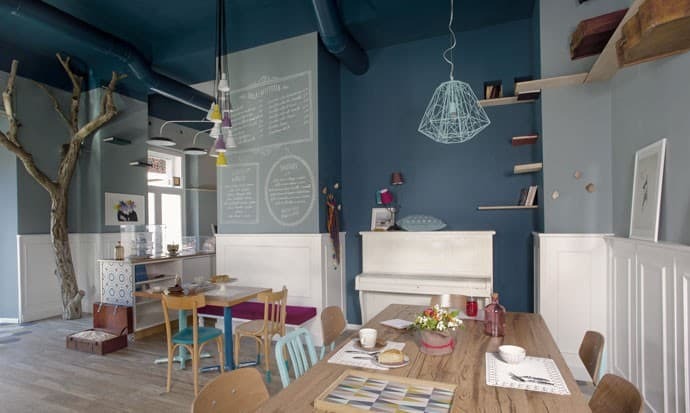 Écru is a cozy and well-decorated little restaurant near Ponte Sant’Angelo. We experienced number 14 raw burger. Half piece was good, but too much another one for one person! The staff were not friendly, they were quite funenthusiastic. Besides, an expensive place for the price. we will never go again! Flower Rome is very near to San Pietro, in the heart of the city. 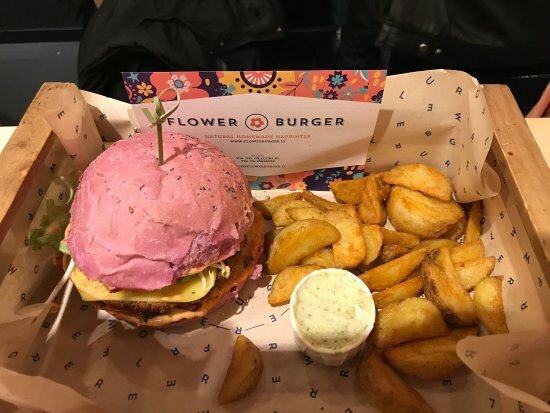 The place is well designed, the menu is great and colorful and tasty choices of vegan burgers with vegan mayo and tasty fries. PS: Be sure to note hours as they are typically closed between 3:30 and 7:30pm! 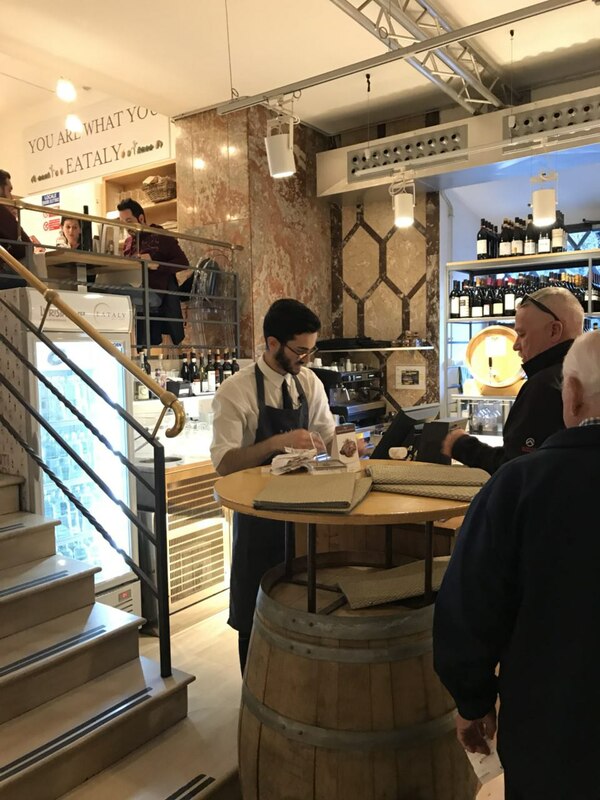 Eataly is a restaurant and gourmet market. The market part is nothing like you have seen before. Levels of top quality chocolates, alcohol, cold cuts, coffee, bread, I could go on forever. 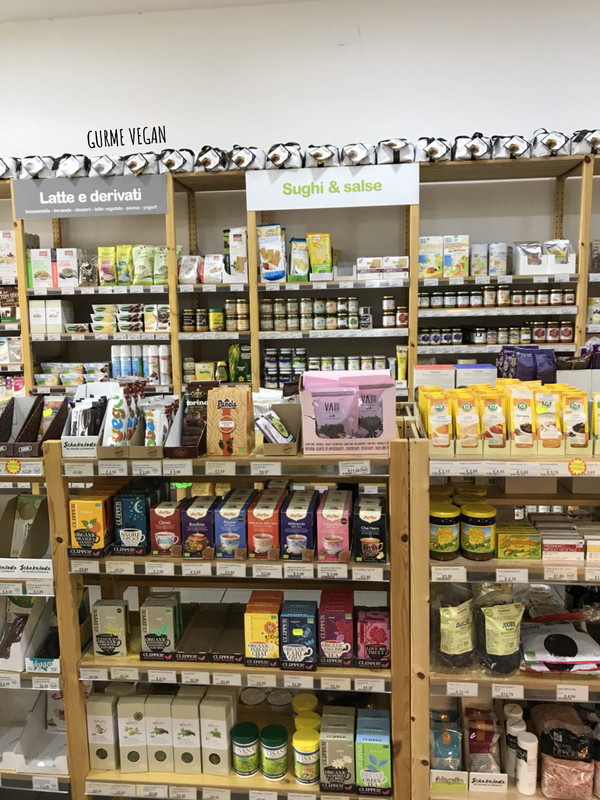 You can find a lot of vegan chocolate here. We ate at the location in the Piazza Republica. 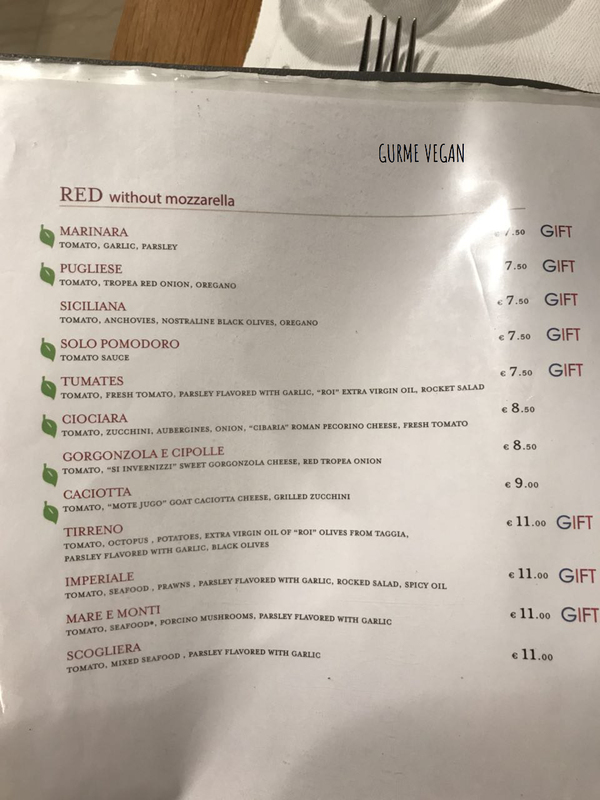 They have a menu with cheese-free pizzas. What a happiness!. The service was excellent, and so is the food. Definitely eat here! 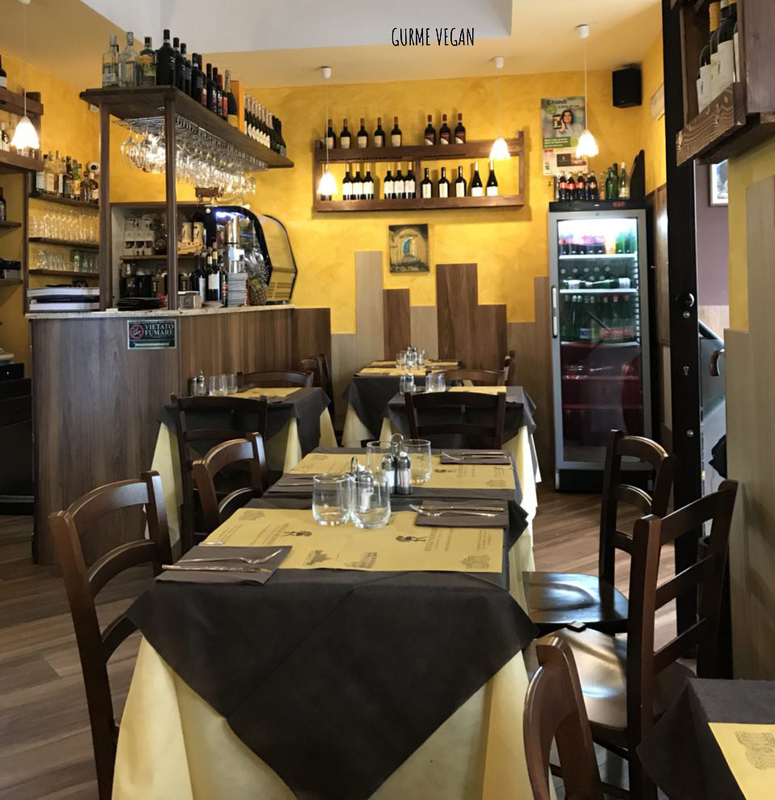 Just across from the Piazza Venezia, this restaurant is ideal for your tiredness. They had a massive selection of pizza and pasta, and some salads for the veggie-lovers. 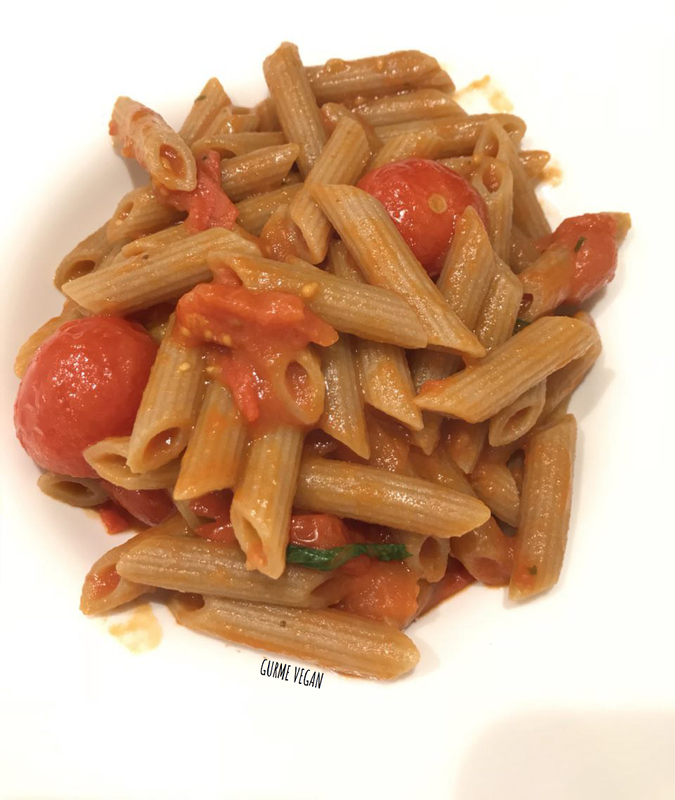 We tried bruschetta, vegan pizza and pasta with corn and tomato sauce. 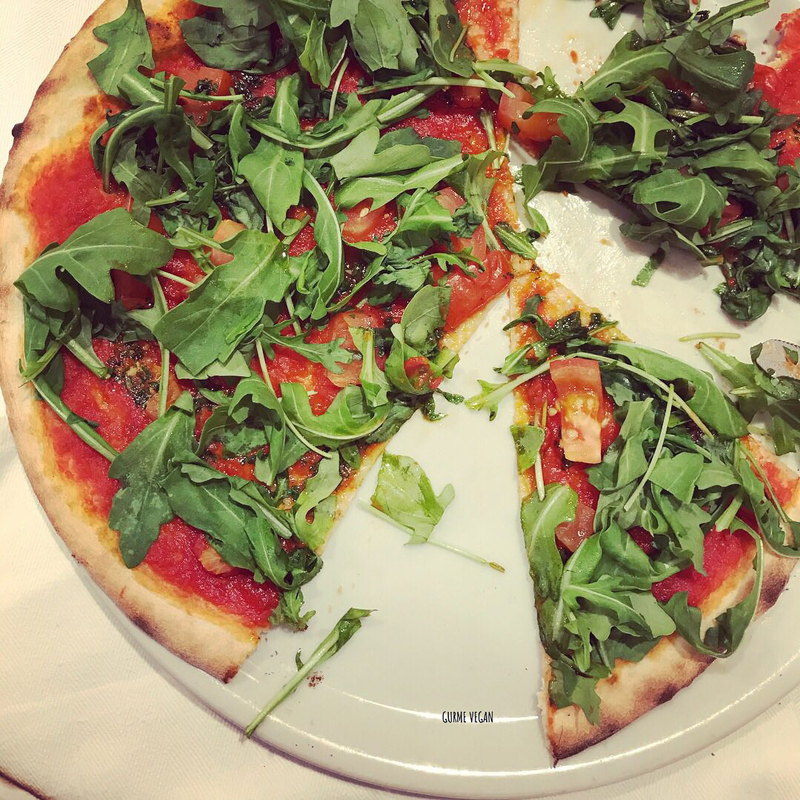 The Pizza is made in Napolitana way and the taste is amazing. 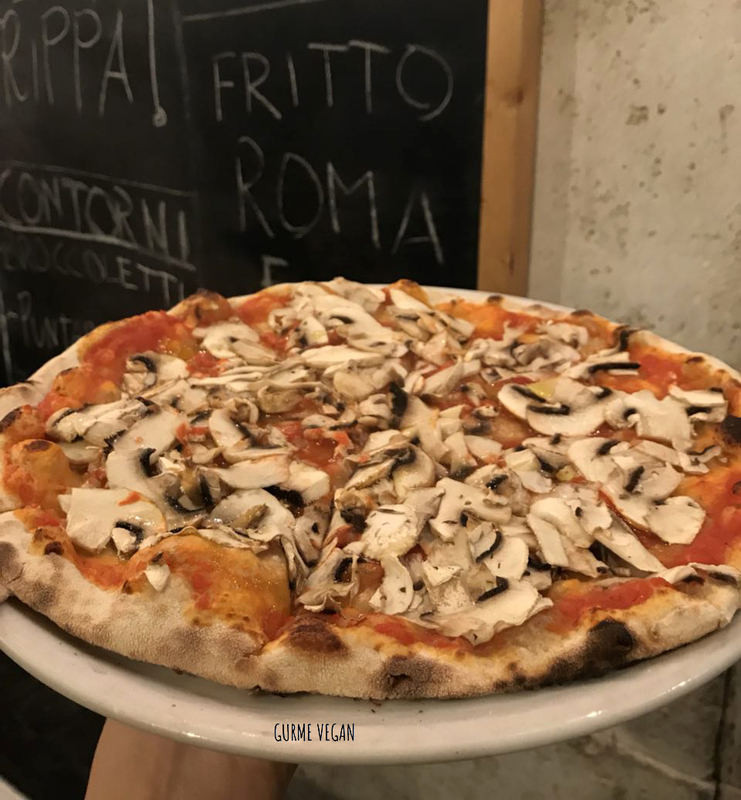 You can see how the pizza is prepared and the atmosphere is also cute and confortable. 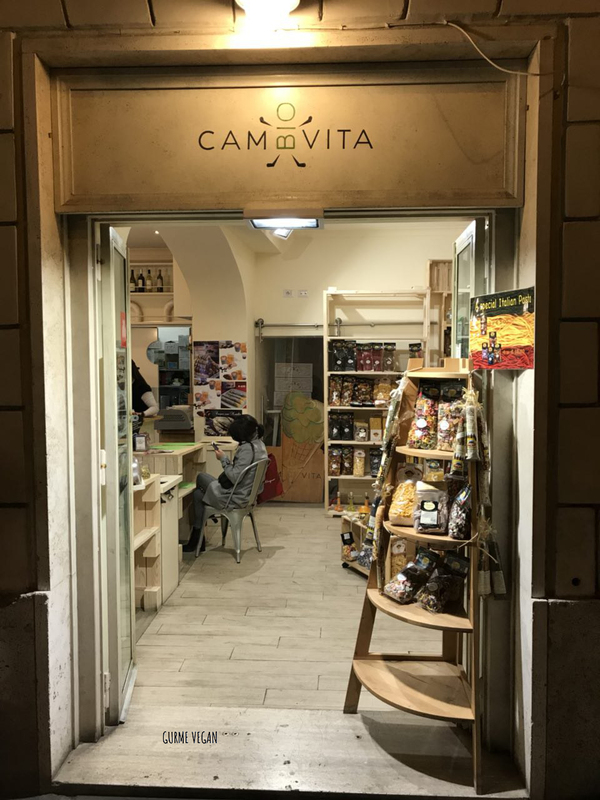 Cambiovita is a heaven of vegan ice-creams! 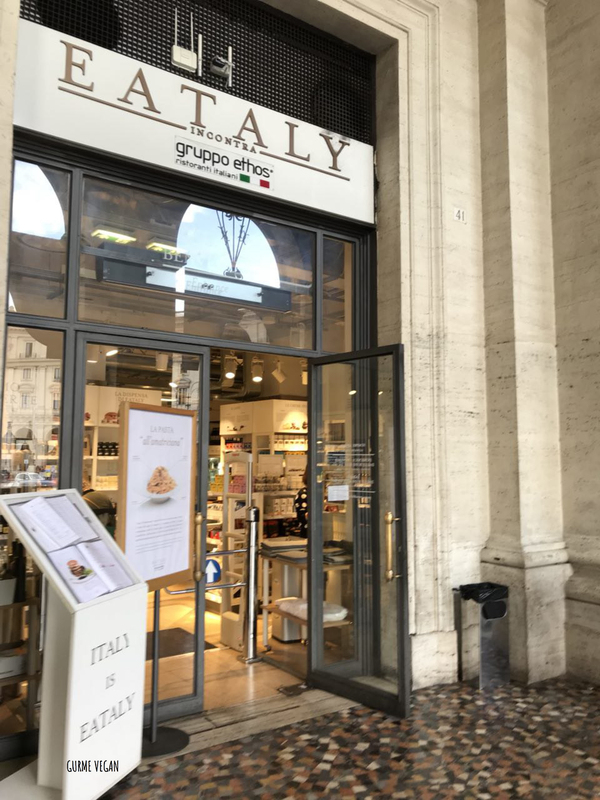 We visited twice during our stay in Rome. 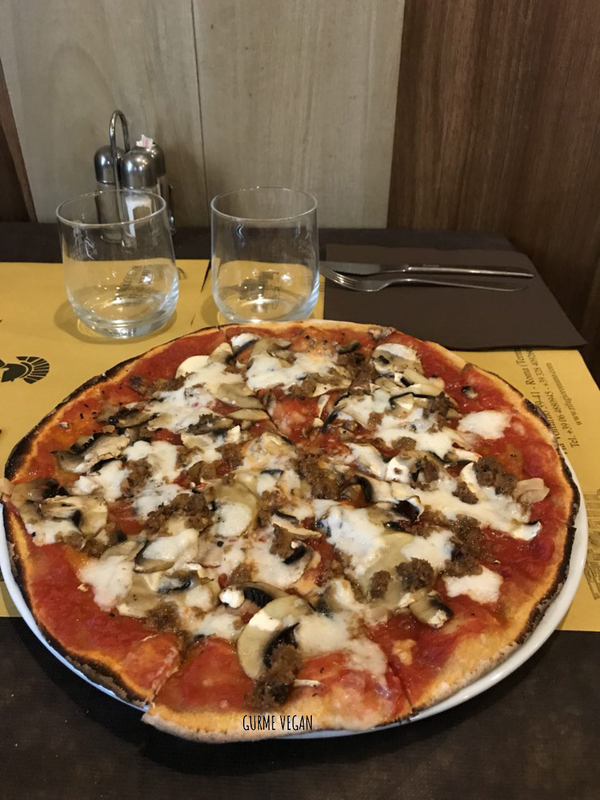 It is in the city centre, near Piazza Navona. 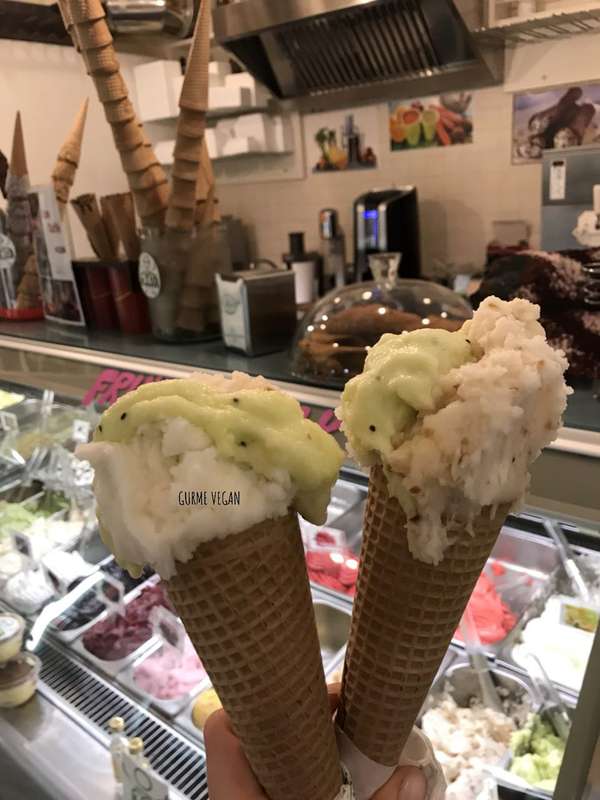 We tried lemon, kiwi and peach vegan icecream. 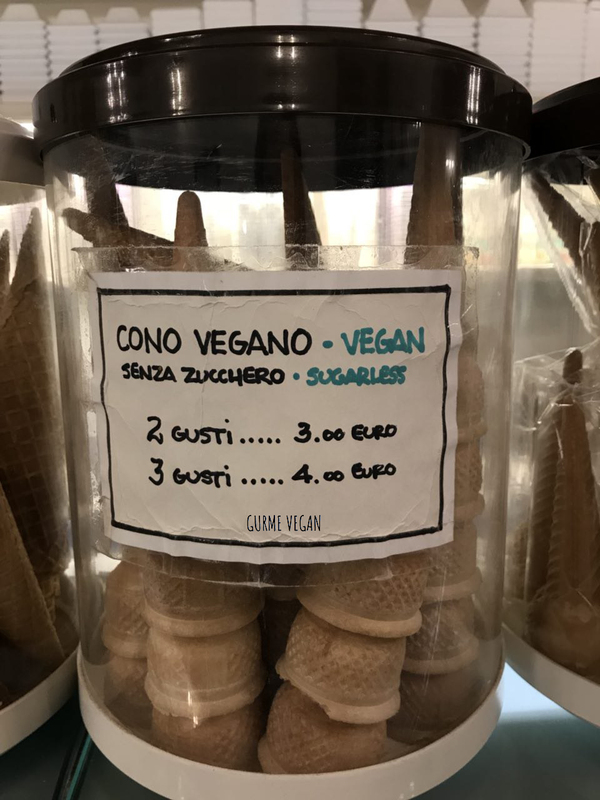 They have a really soo fantastic choice of vegan ice-creams. Almost as many as non-vegan ones. 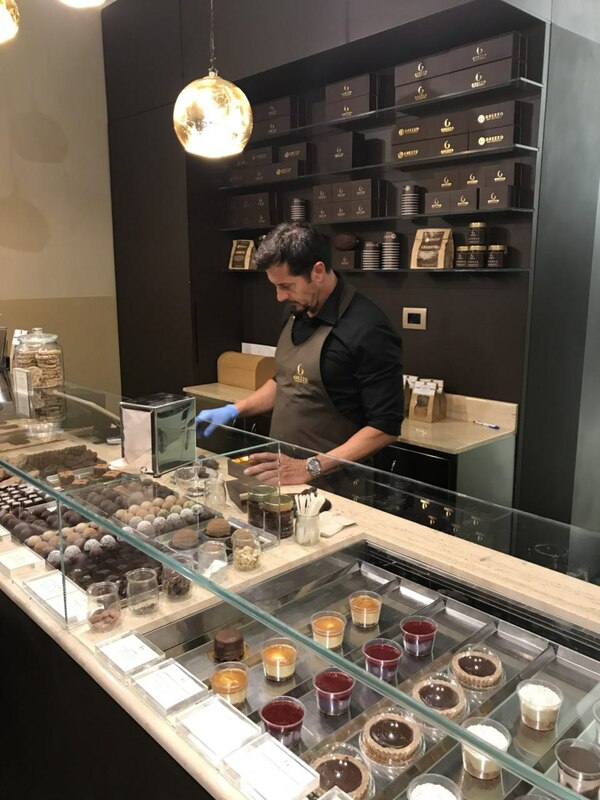 The staff are very friendly and will be happy to give you sample before you buy. Every flavor I had was super and so fresh tasting! 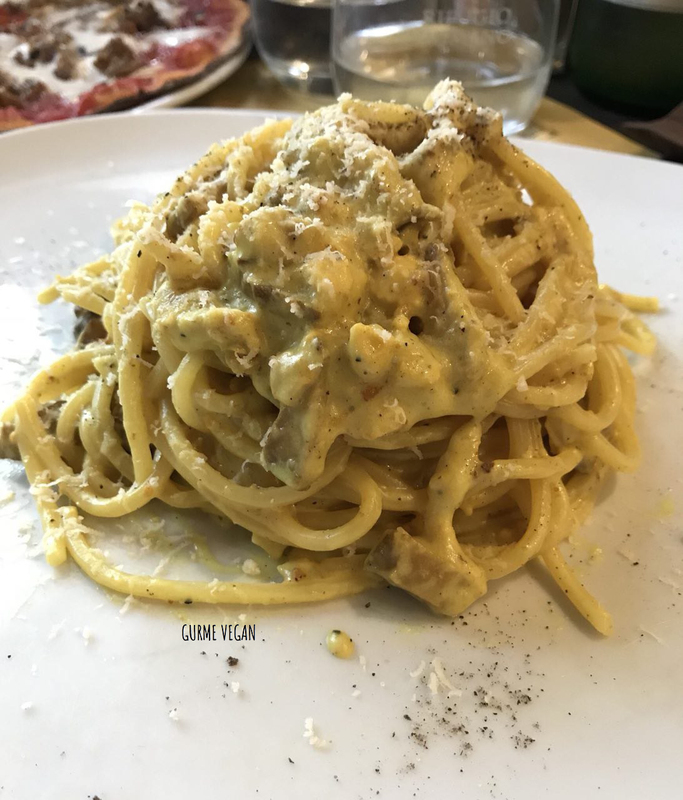 Are you looking for finest Artisan Pasta in Rome? Yesss, we love local! Had a fantastic dinner at Da Simo! 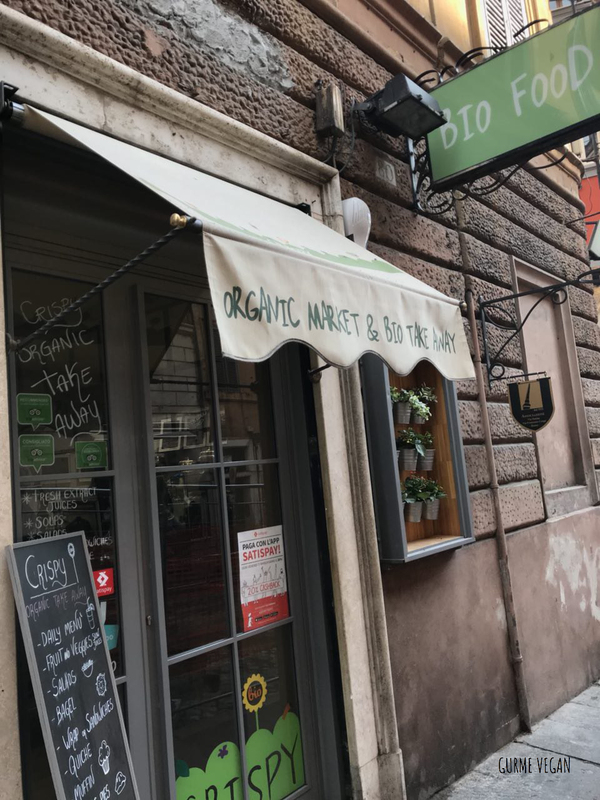 It is absolutely best local restaurant in Rome. 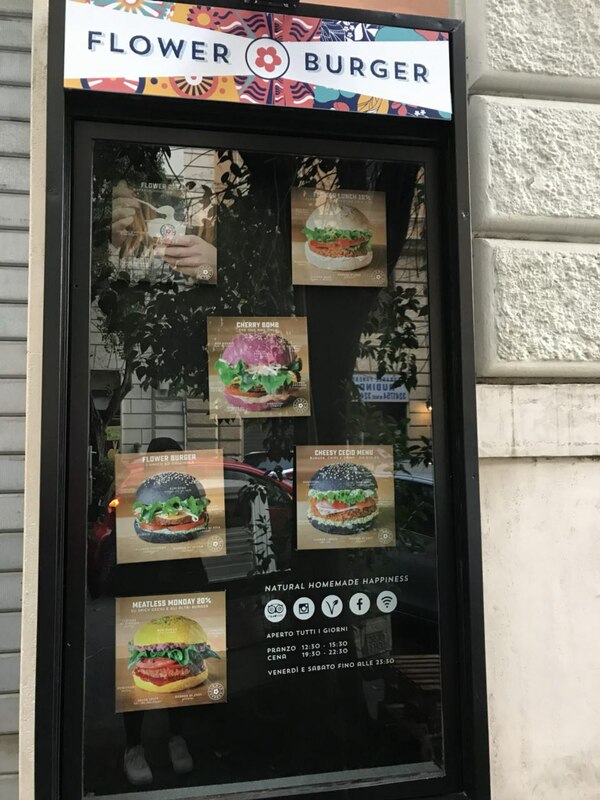 Eat at this restaurant at least twice when I go to the Rome! Victor who served us seems like the owners son was super friendly and helpful. You can make it vegan by removing the cheese from the pizza. 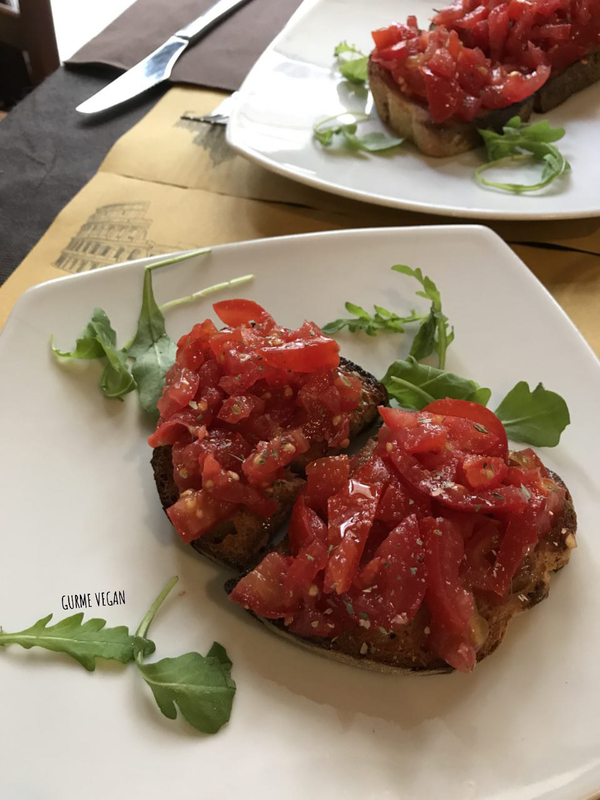 We tried bruschetta, spaghetti al pomodoro and pizza funghi without cheese. Each one was tremendous! And we learned that traditional home cooked roman dishes made by the family themselves! The owner, Simona is just lovely. Plus, it is very cheap! 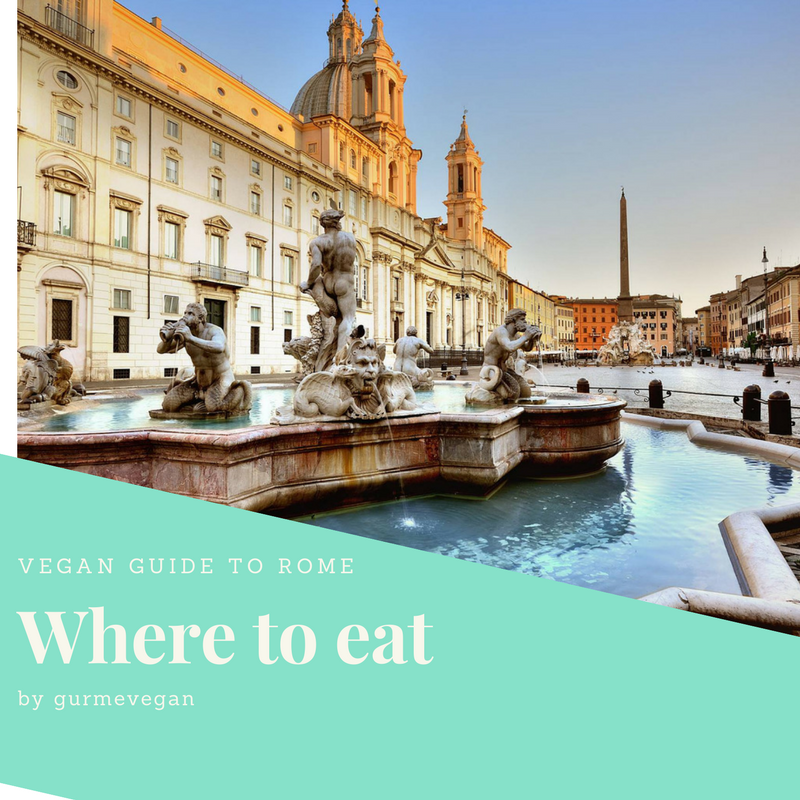 There are a lot of vegan places in this city as you can see. 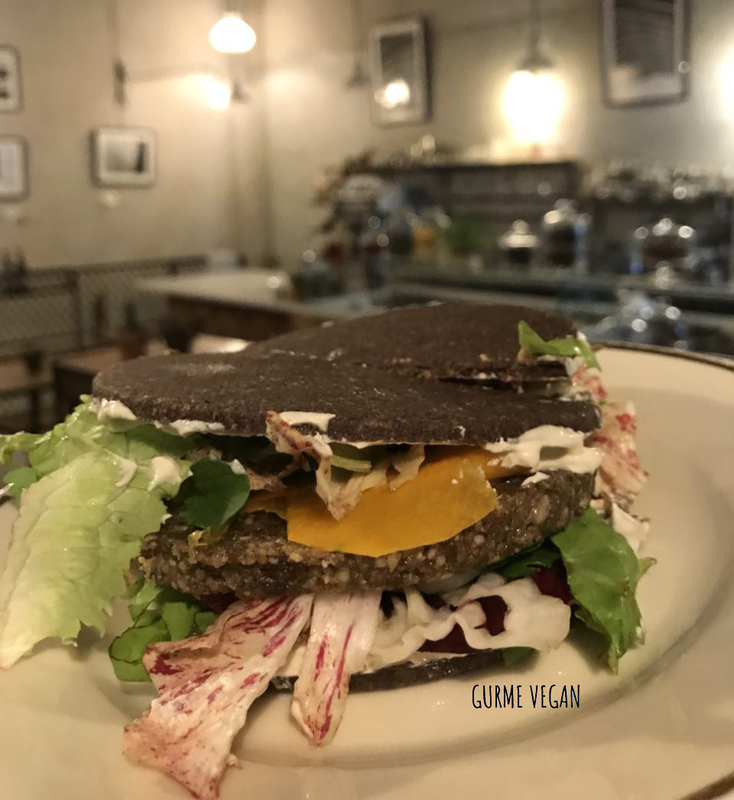 Besides, please don’t forget that there are many vegan alternatives you can eat in non-vegan restaurants in this vegan paradise city. 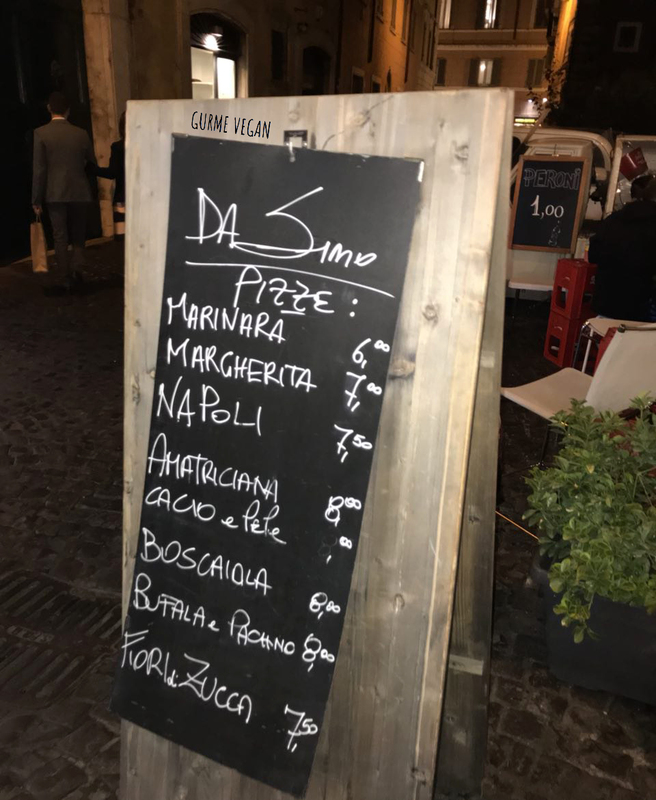 Keep your eyes peeled for these options on pretty much every Italian menu you’ll come across! 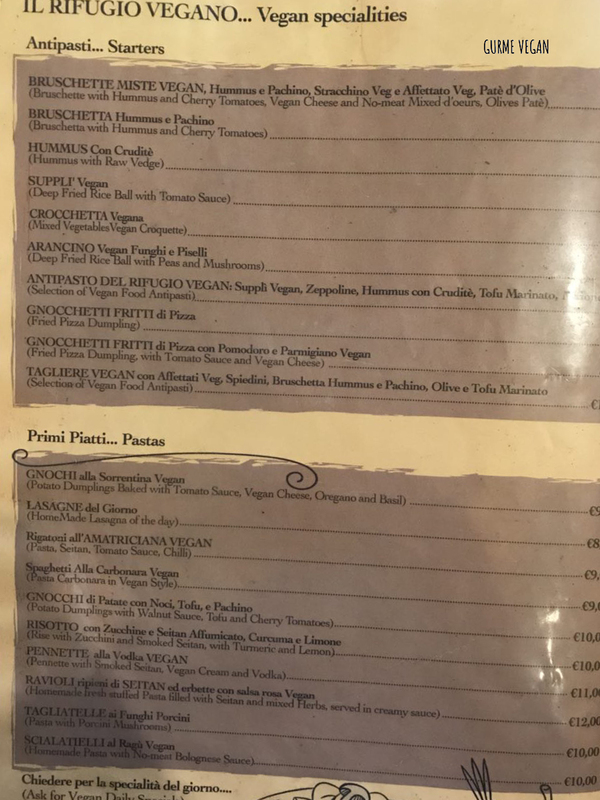 What can you order at a non-vegan restaurant? 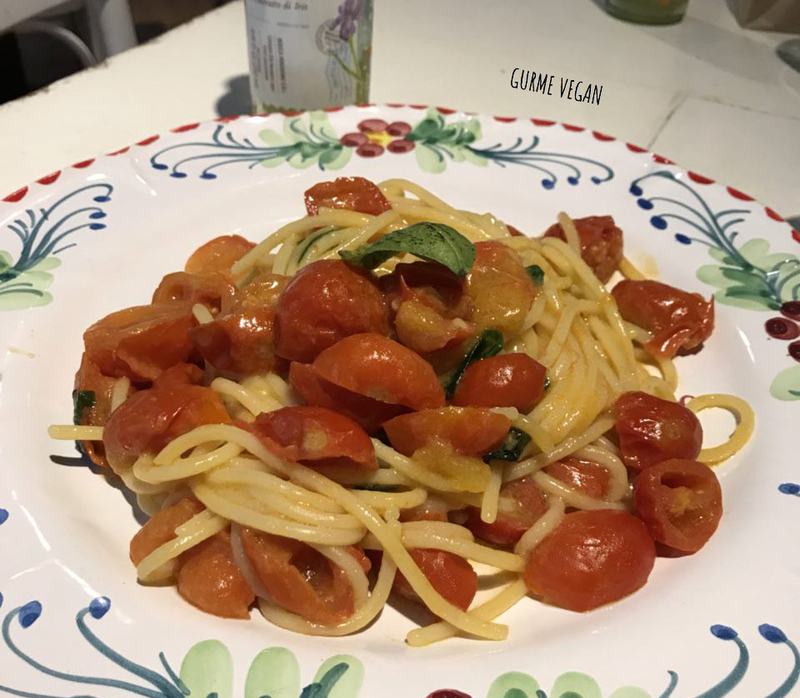 Spaghetti al pomodoro: it comes with tomato sauce, fresh tomatoes, basil and olive oil. You can easily want it without cheese. This is my simple favorite dish. I usually eat pasta al pomodoro everywhere. I don’t change the flavor of fresh italian tomatoes to anything. 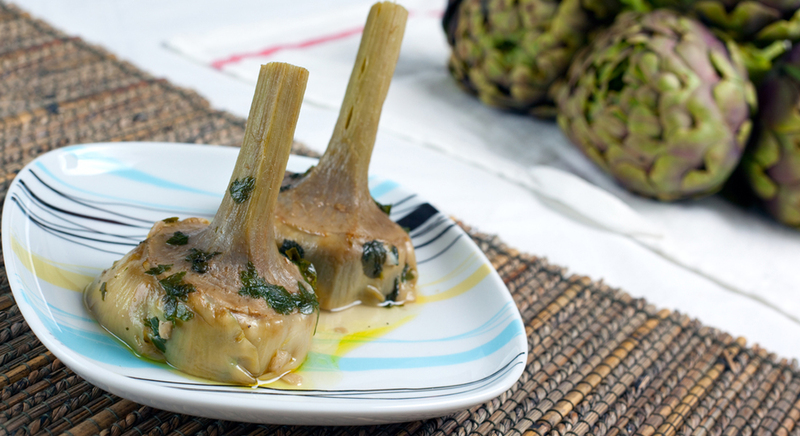 Caricofi alla romana: roman style artichokes slices with thyme and olive oil. 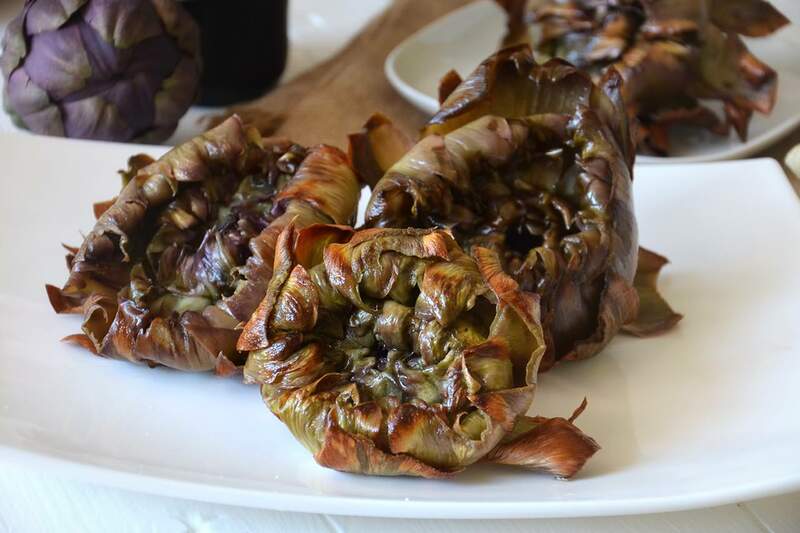 Caricofi alla Guida: fried artichokes in the oven. 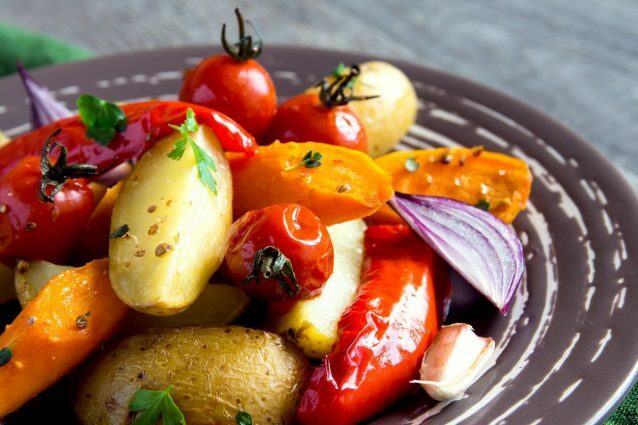 Verdure al forno: roasted vegetables, usually it includes potatoes, zucchinis, cucumber, tomatoes, garlic, onions and eggplants. 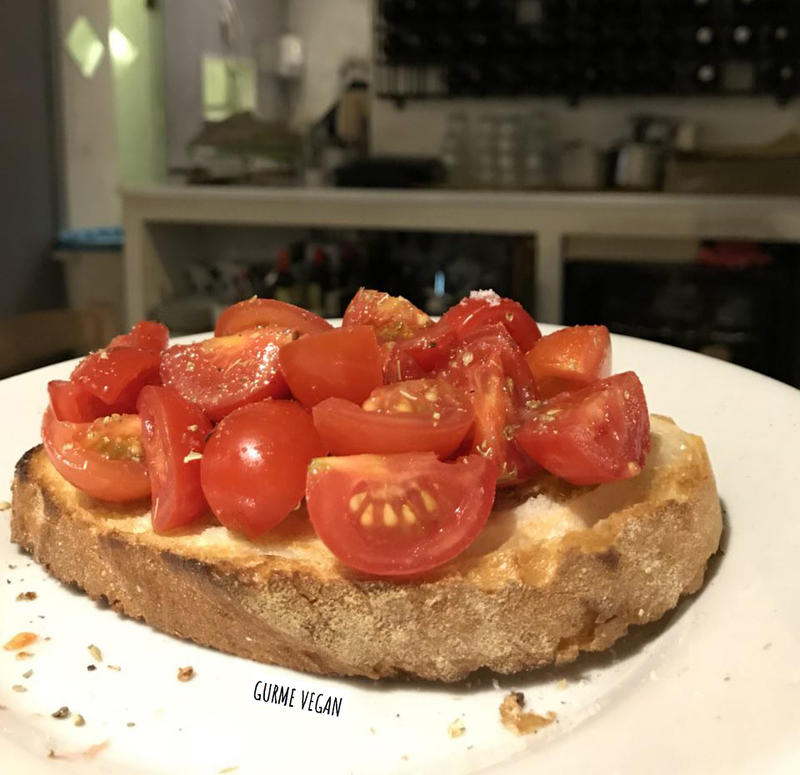 Bruschetta: Another italian flavor to die for. 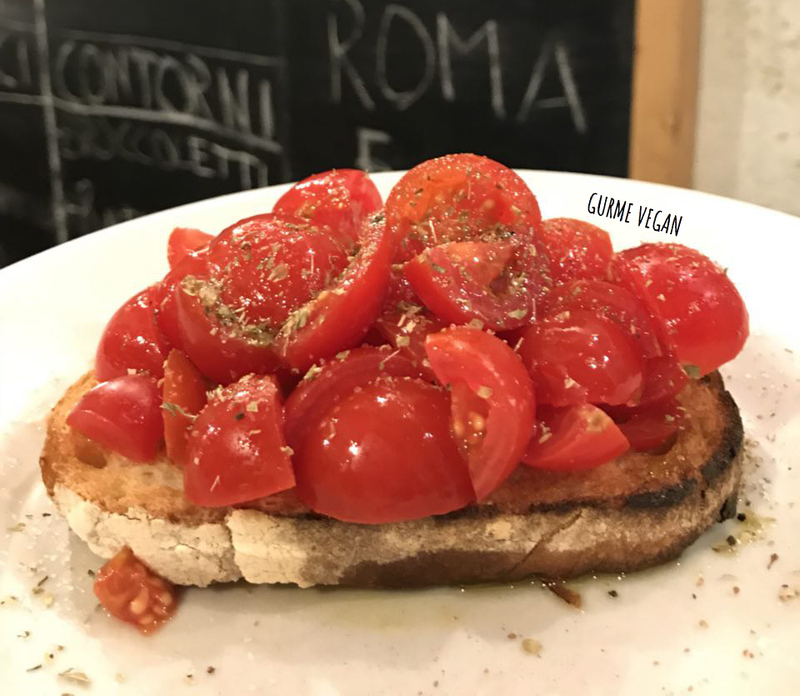 Toasted slices of bread topped with olive oil, fresh basil, and chopped tomatoes. This simple thing is how it can taste so much. italian tomatoes and olive oil is the key point. 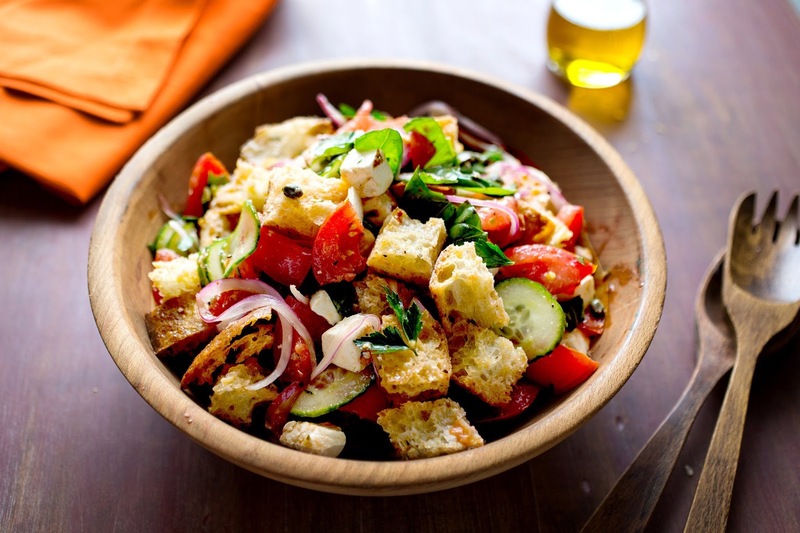 Panzanella: Hard cube bread salad, usually mixed with tomatoes, greens, onions, cucumber, olive oil and vinegar. Always ask if it contains chicken and cheese. 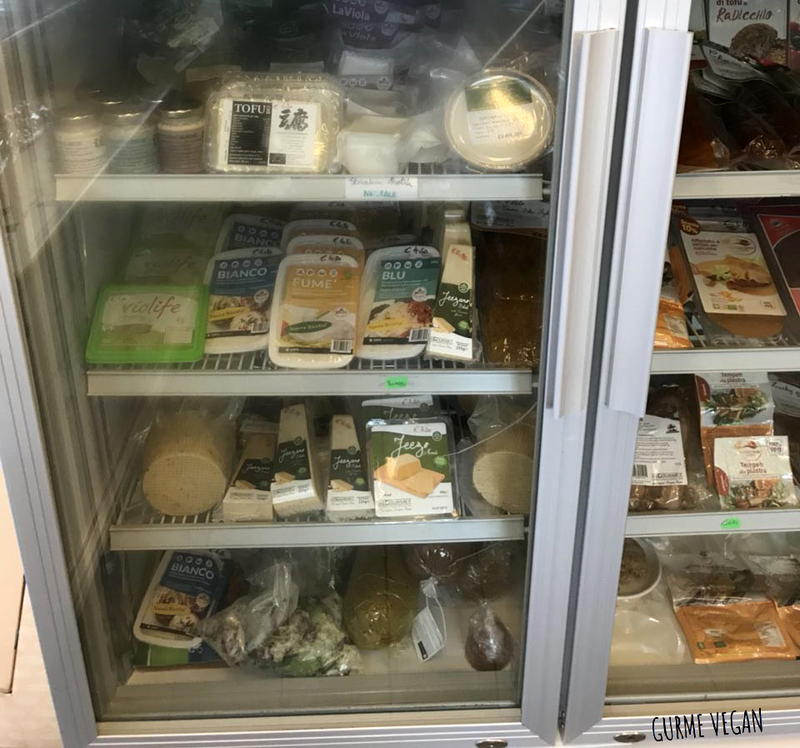 Some restaurants add vegan cheese and tofu optionally. 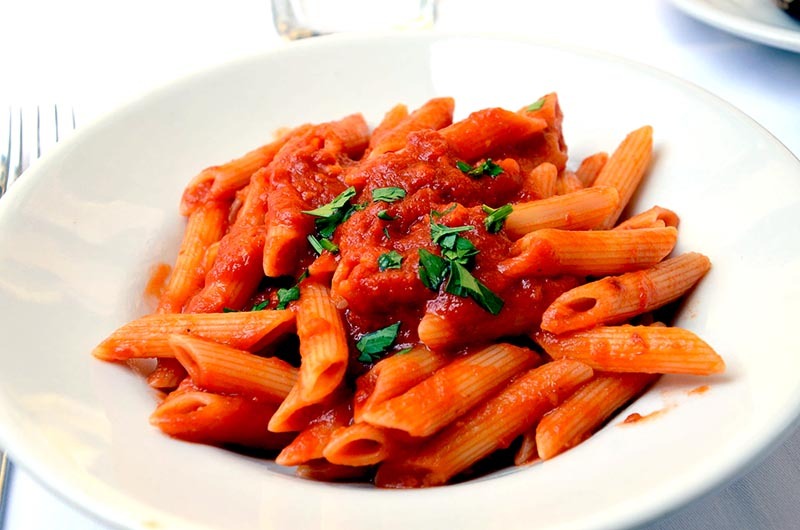 Penne All’Arrabbiata: Penne with spicy tomato sauce. Remove cheese from the menu. 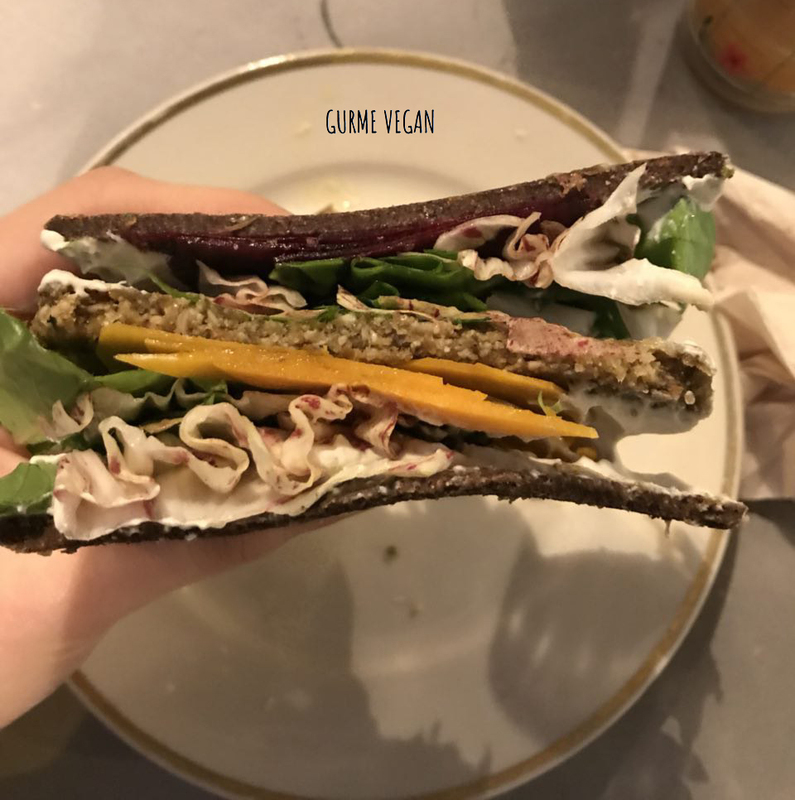 ICELAND VEGAN GUIDE – Where to eat in Reykjavik?